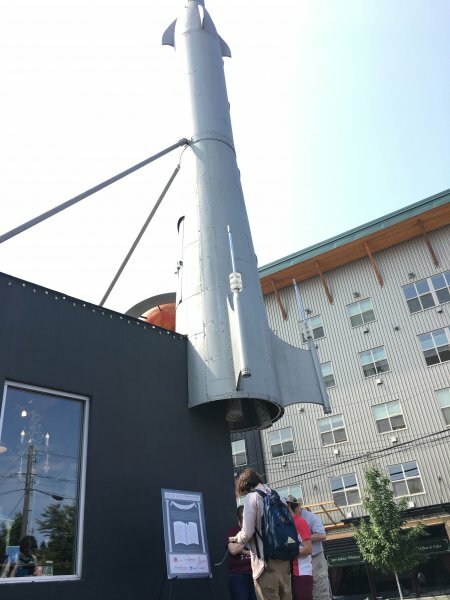 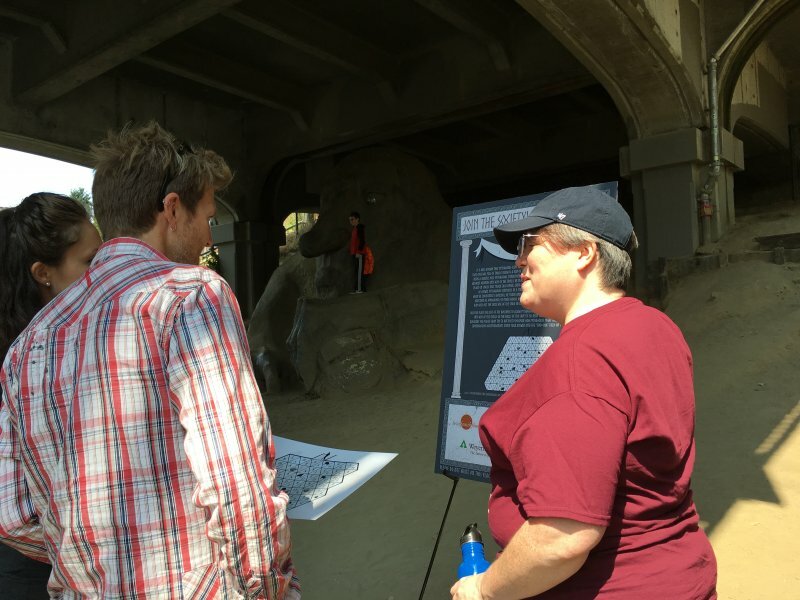 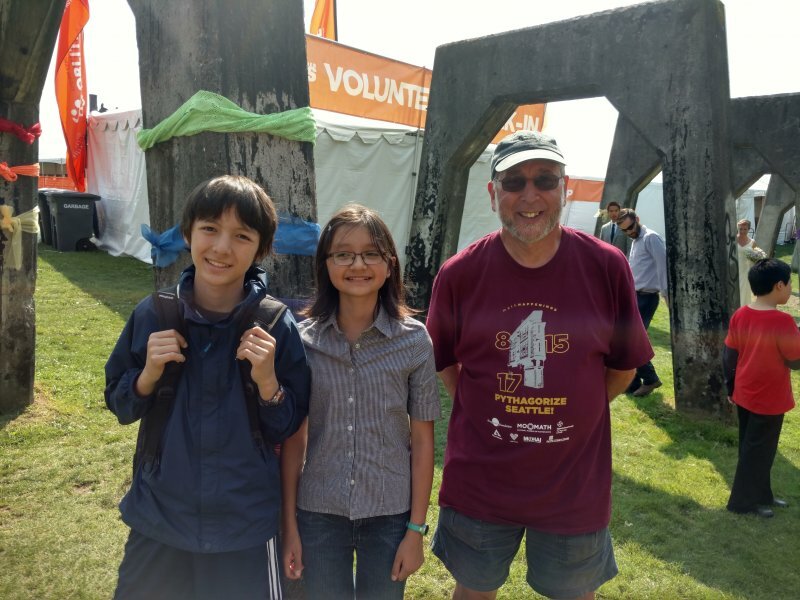 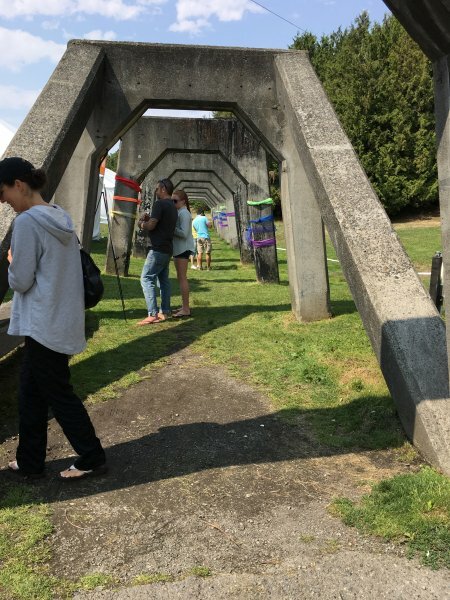 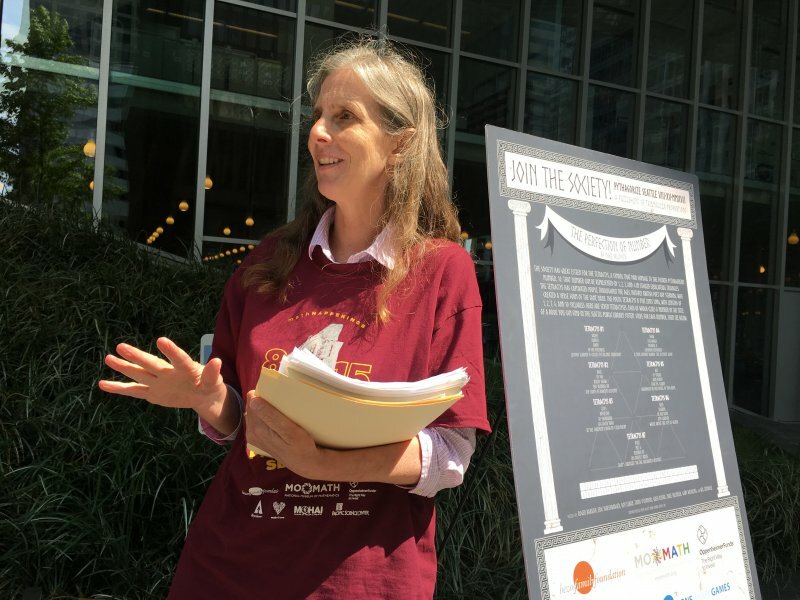 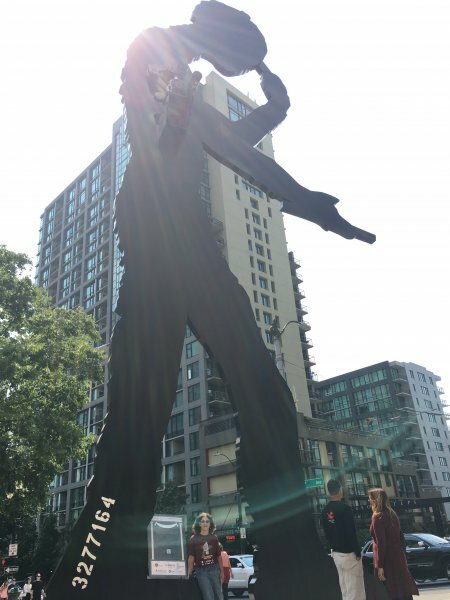 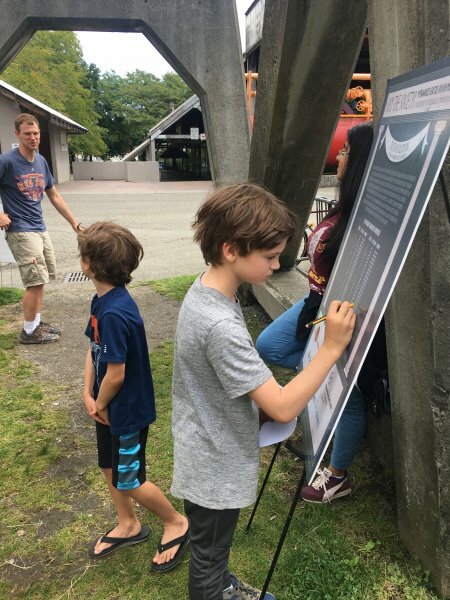 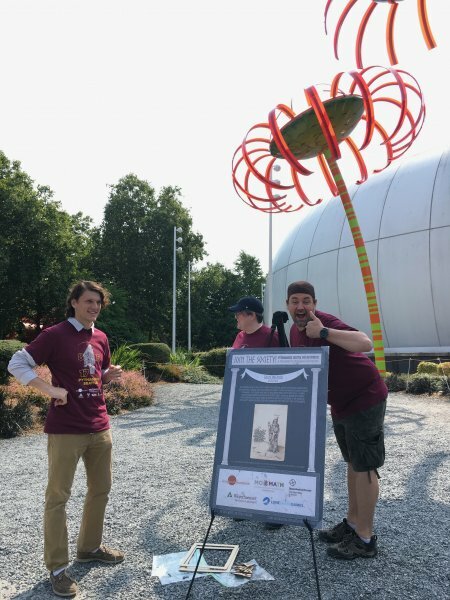 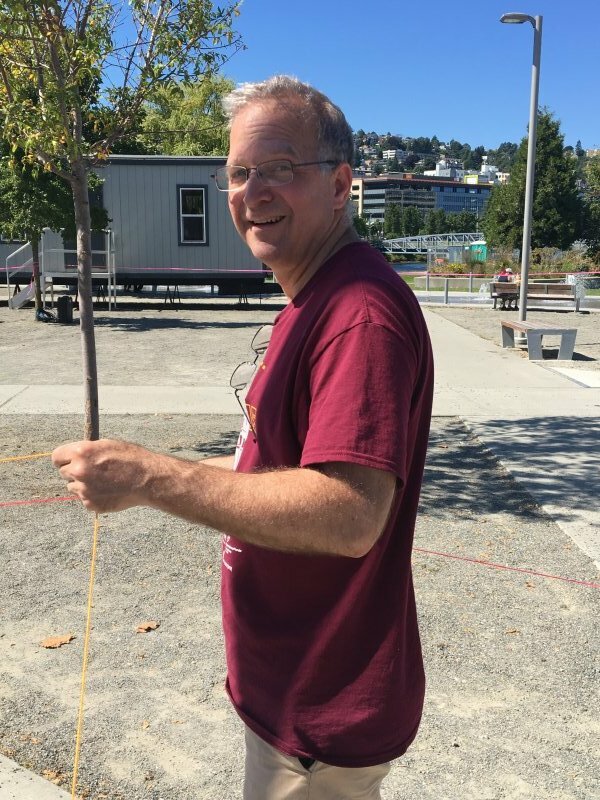 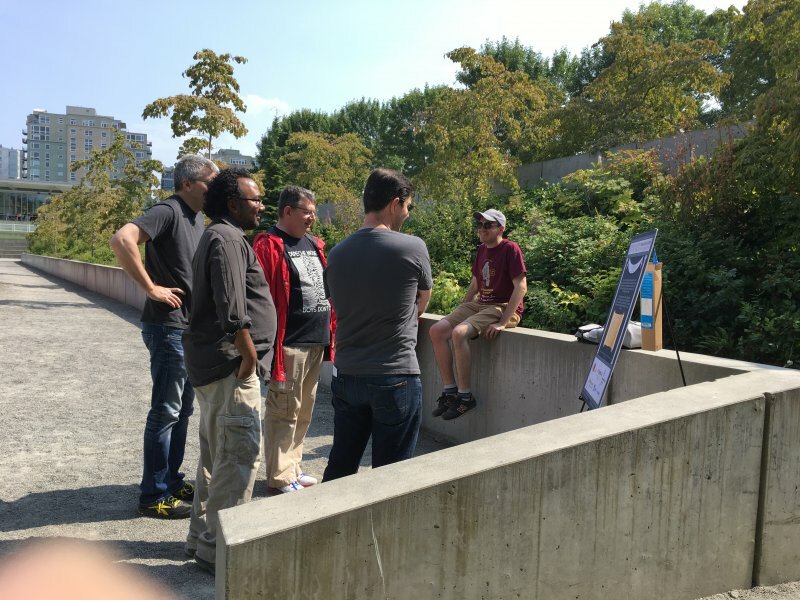 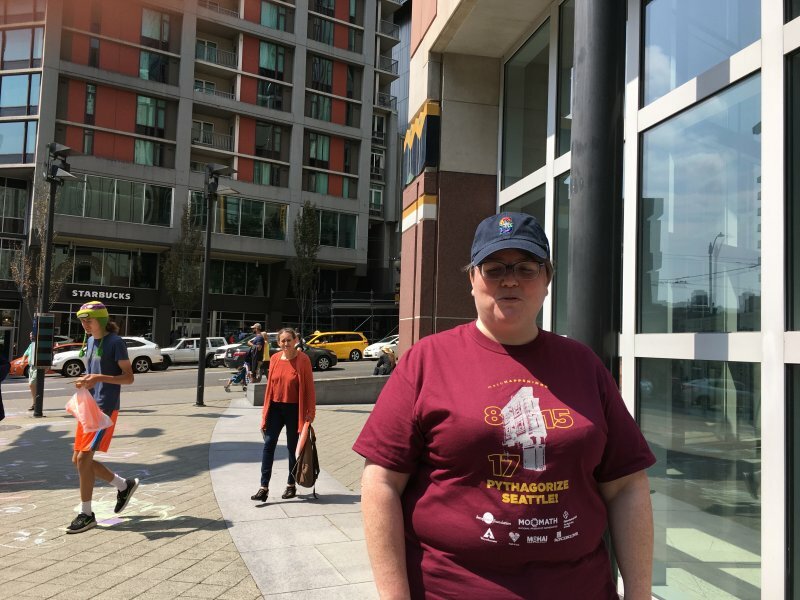 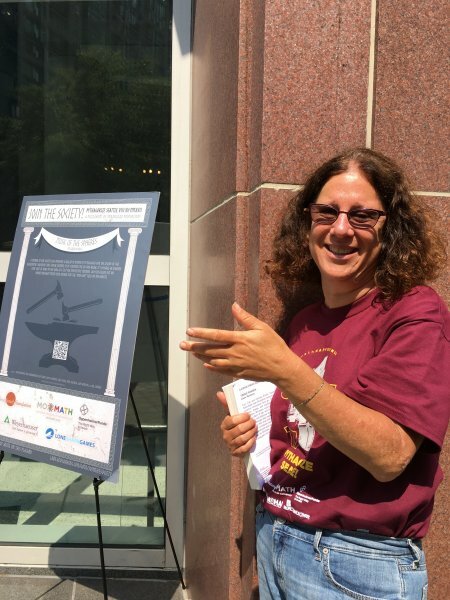 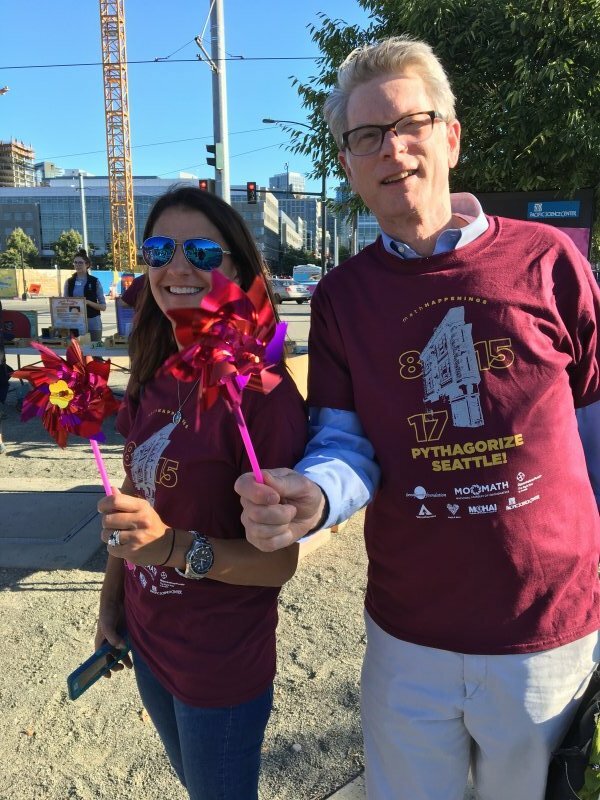 The National Museum of Mathematics returned to Seattle in August of 2017 to celebrate another Pythagoras Day — the last (primitive) Pythagorean triple until 2024! 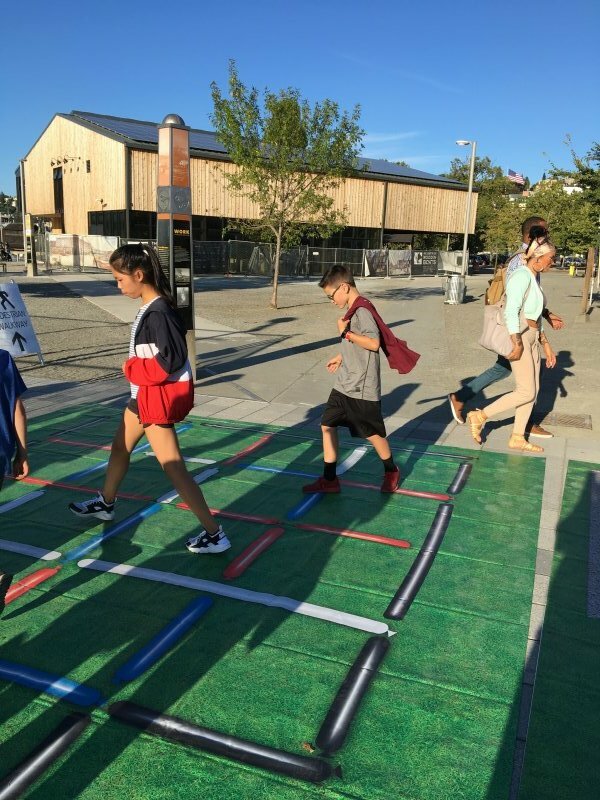 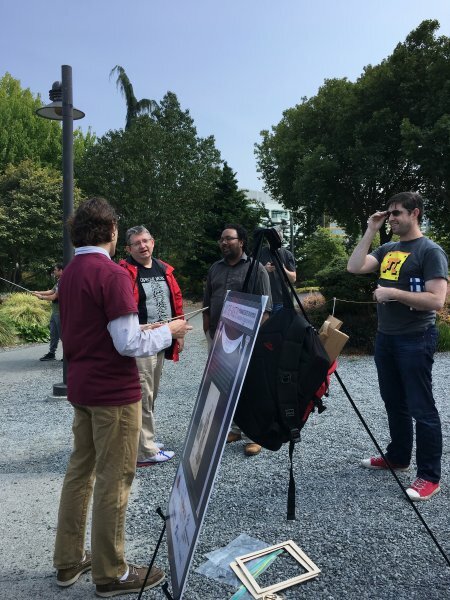 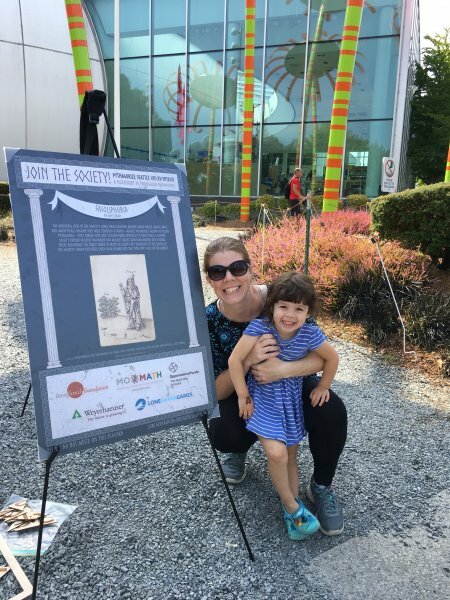 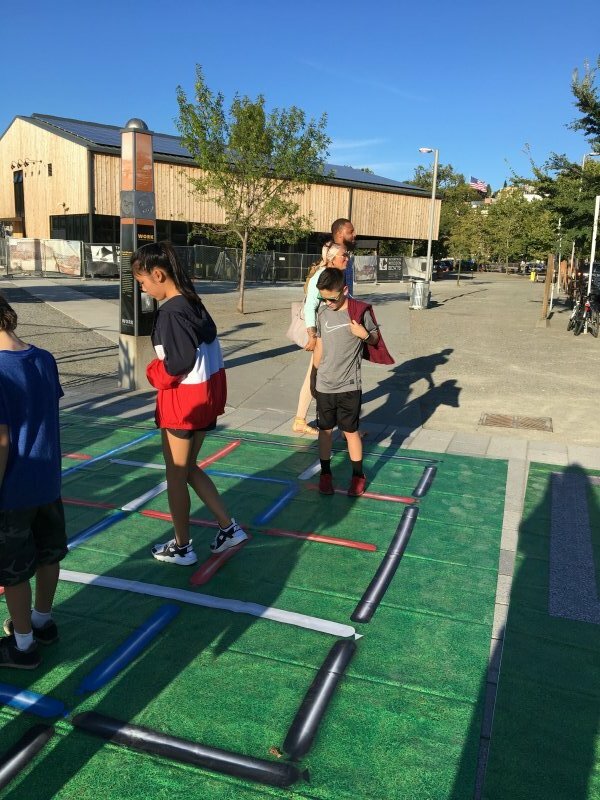 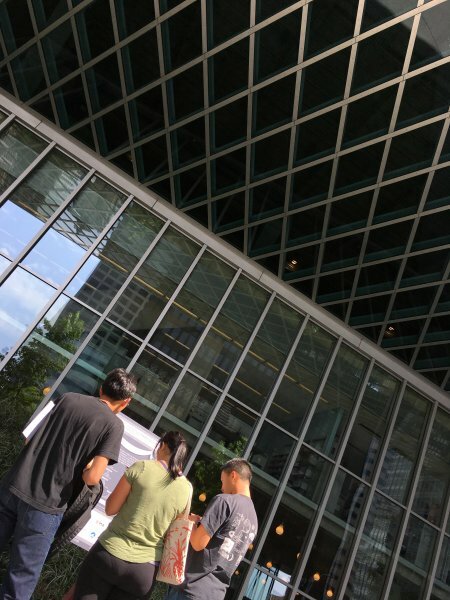 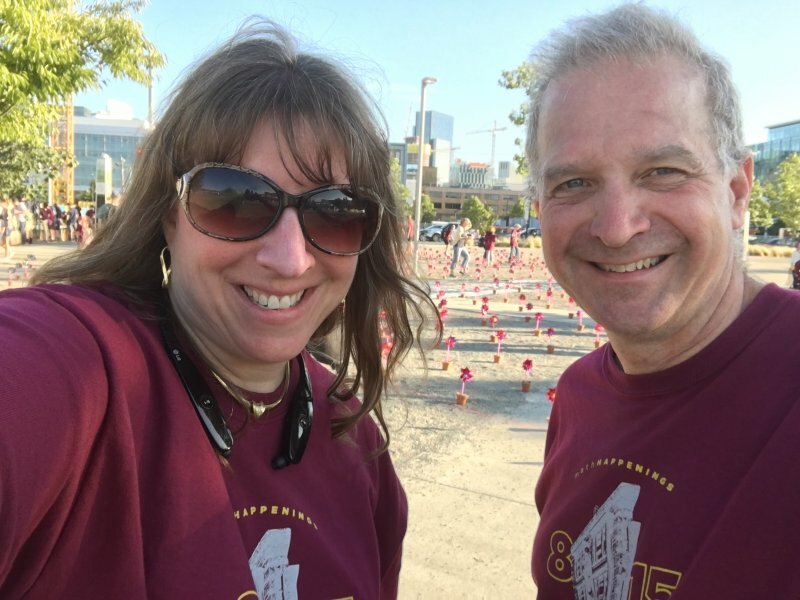 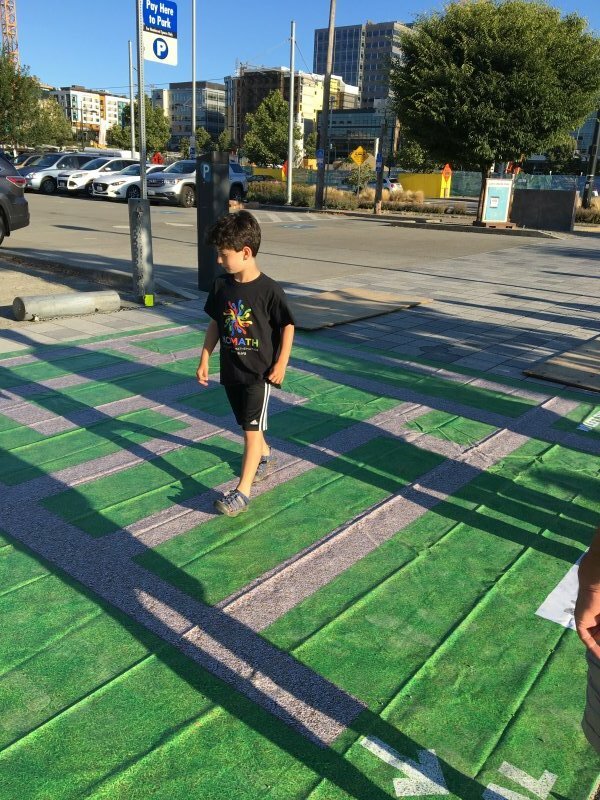 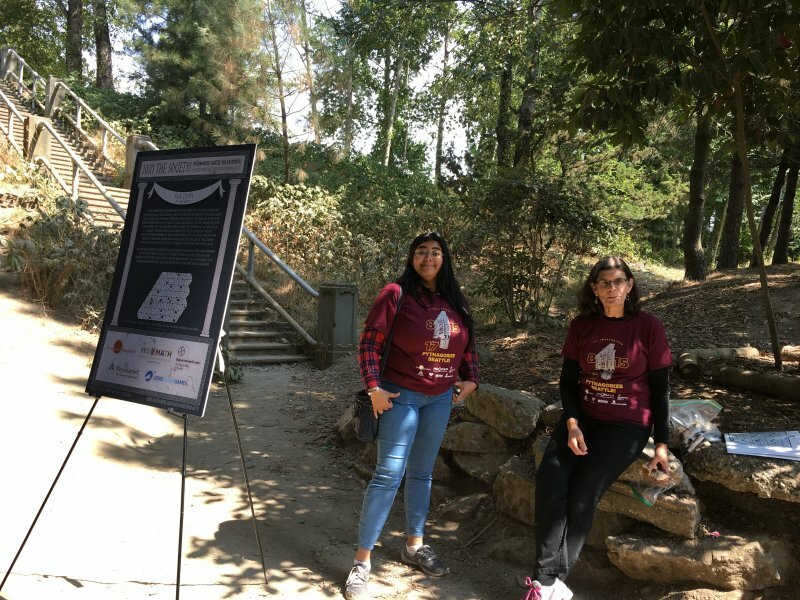 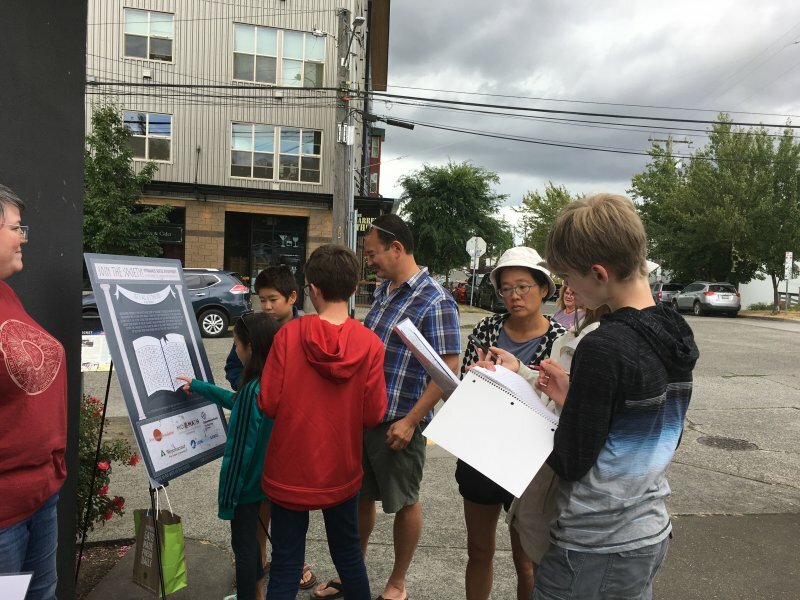 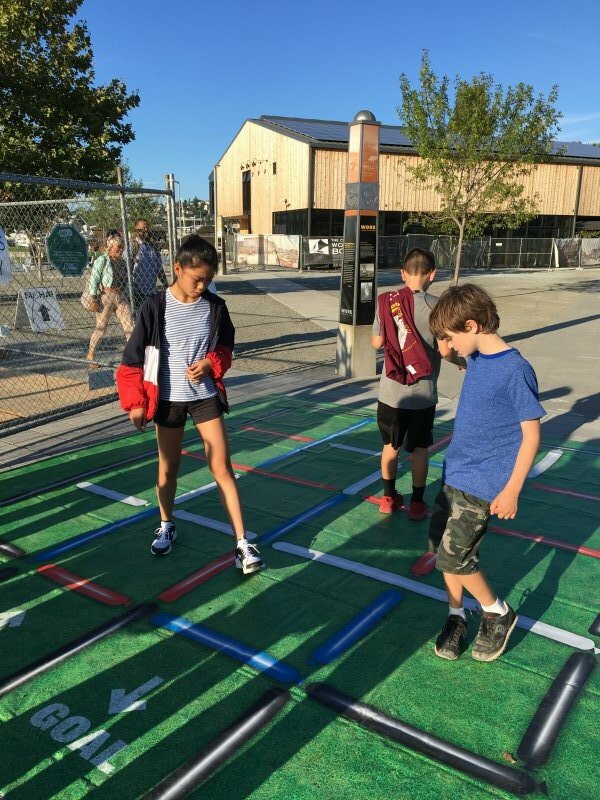 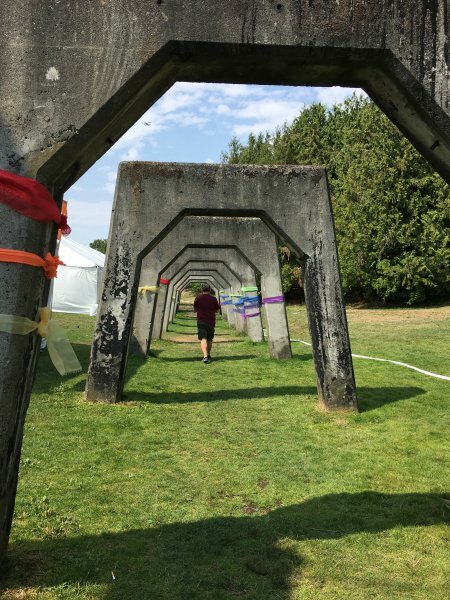 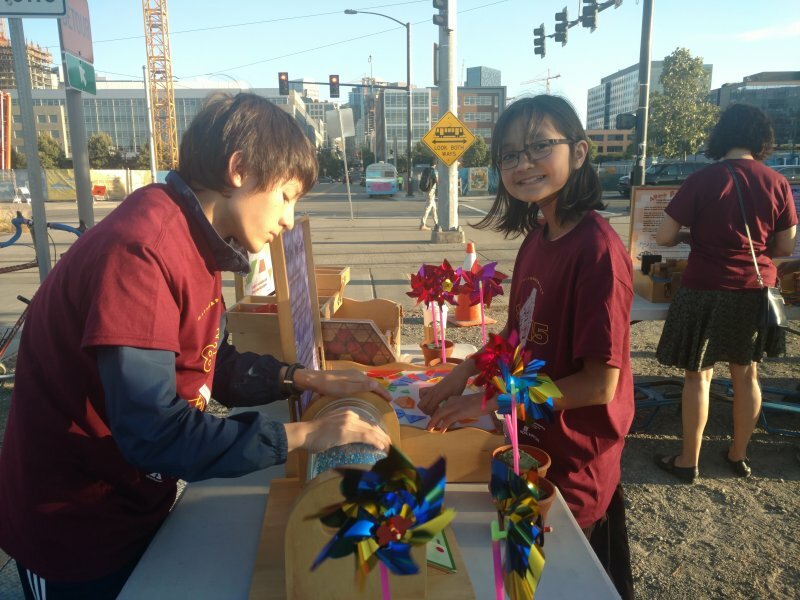 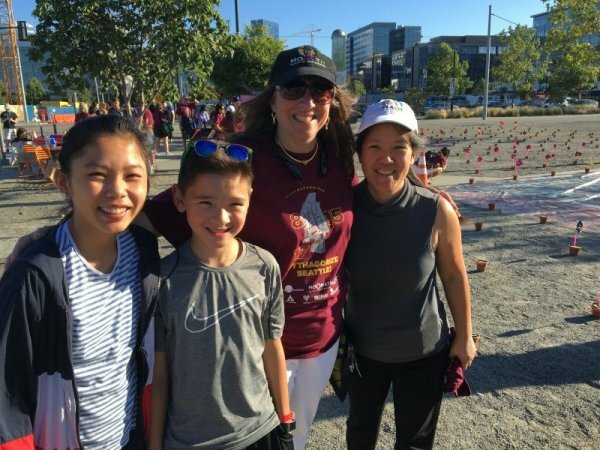 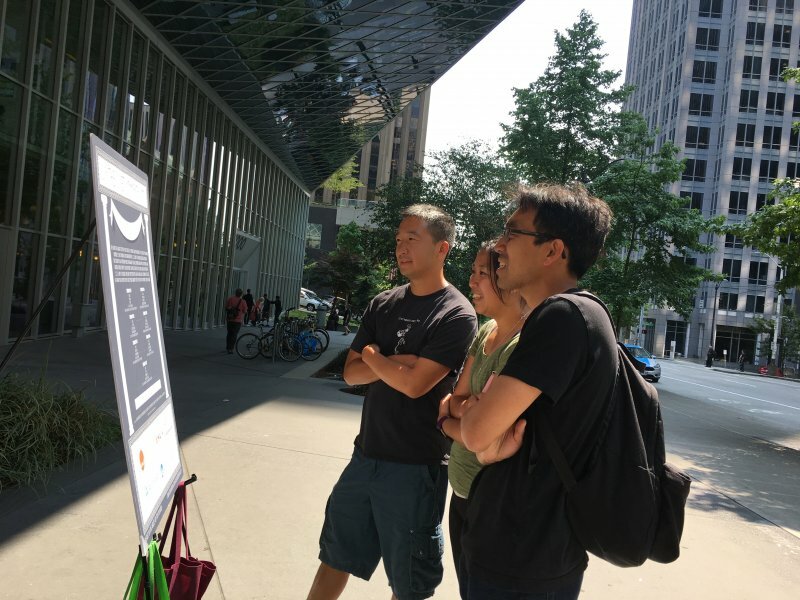 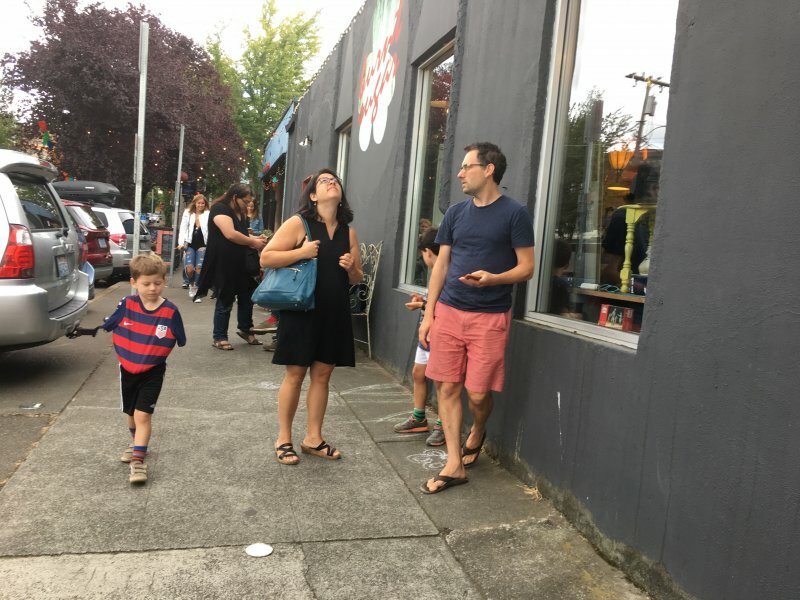 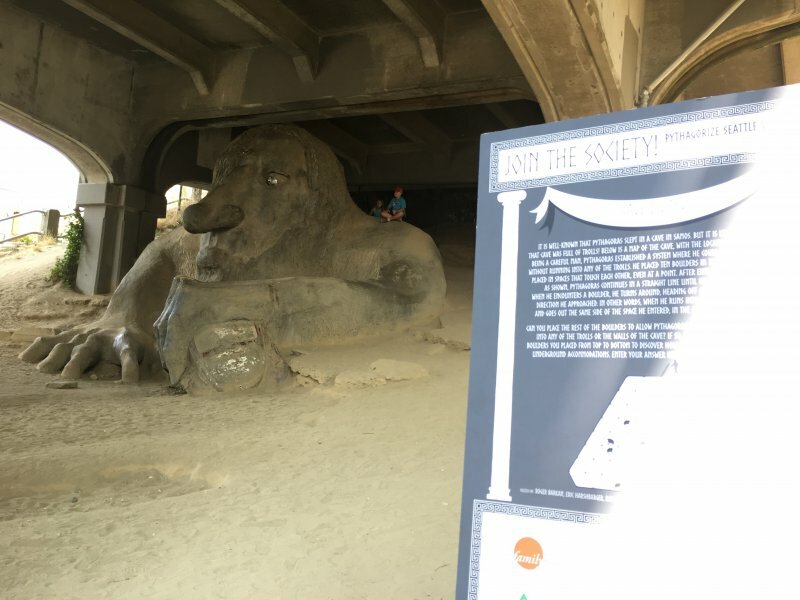 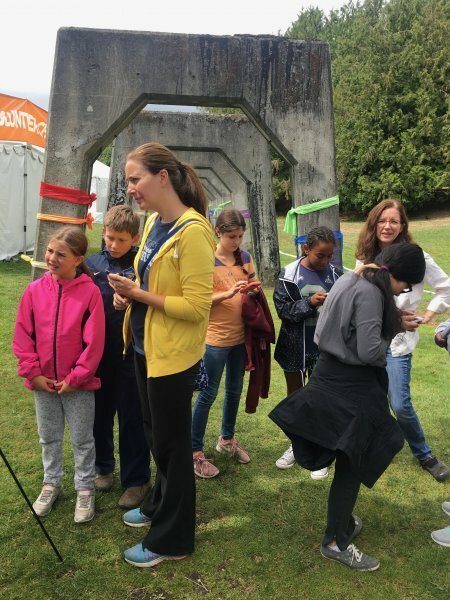 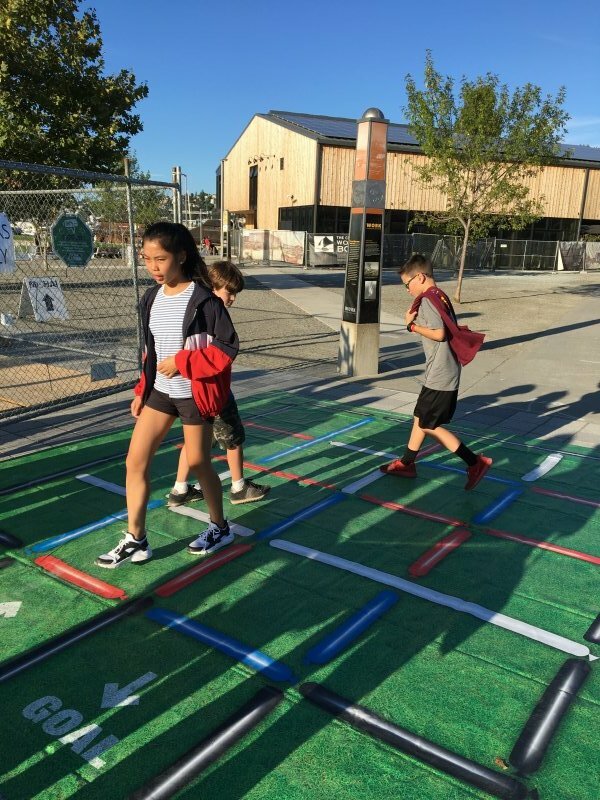 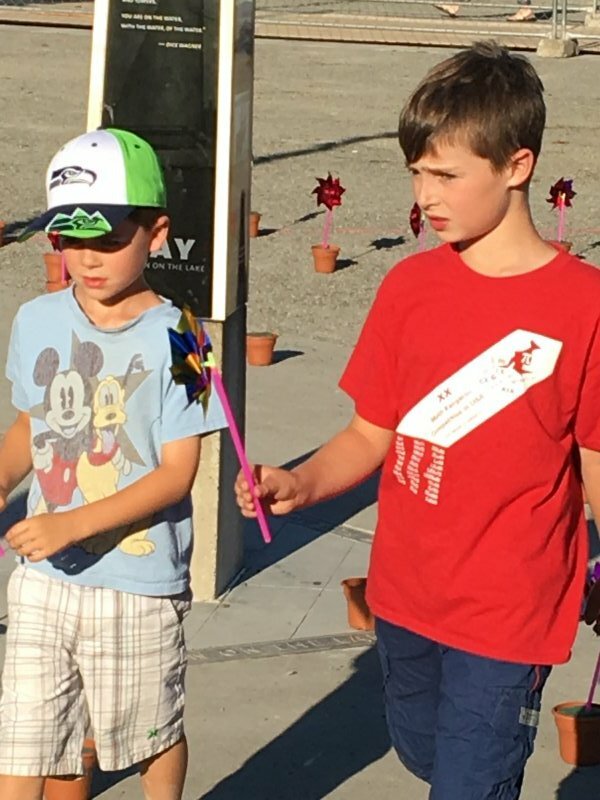 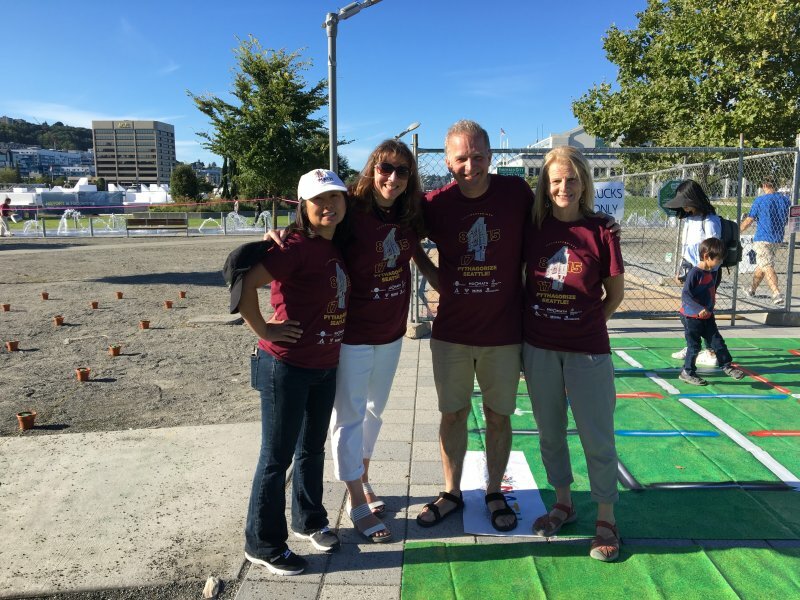 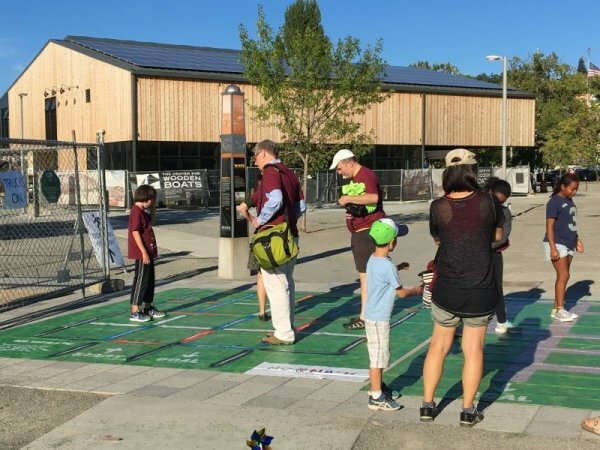 Made possible by the Bezos Family Foundation, OppenheimerFunds, and Weyerhaeuser, this year’s event unfolded in multiple stages, featuring a city-wide puzzle hunt designed by Lone Shark Games to engage individuals, groups, and families alike. 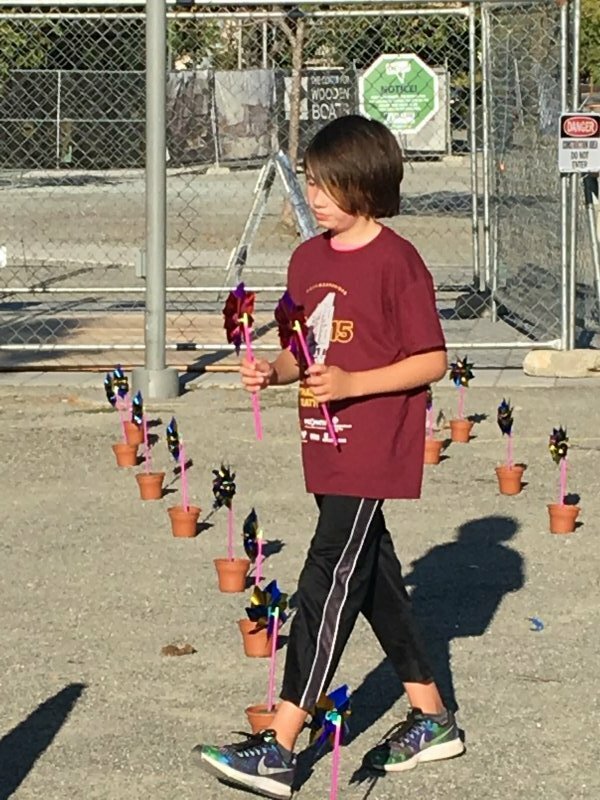 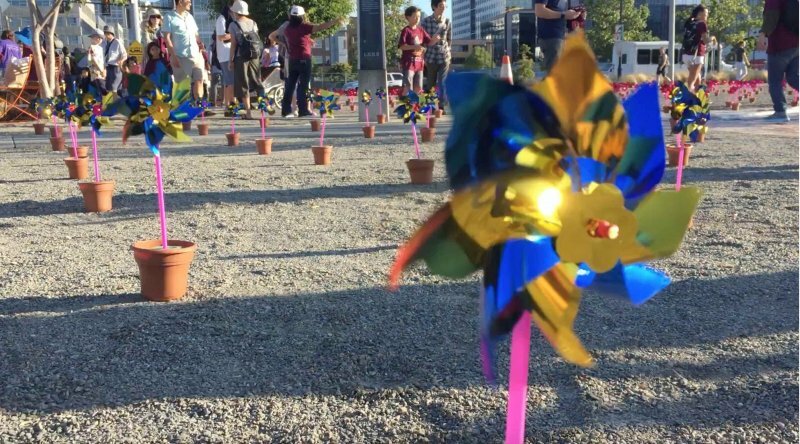 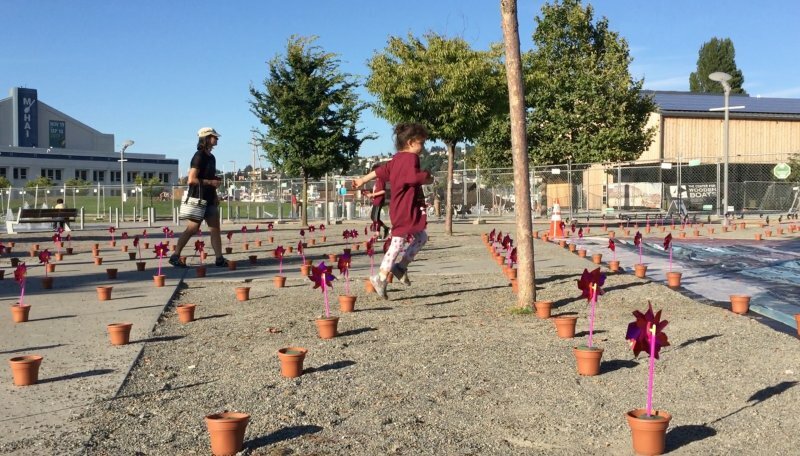 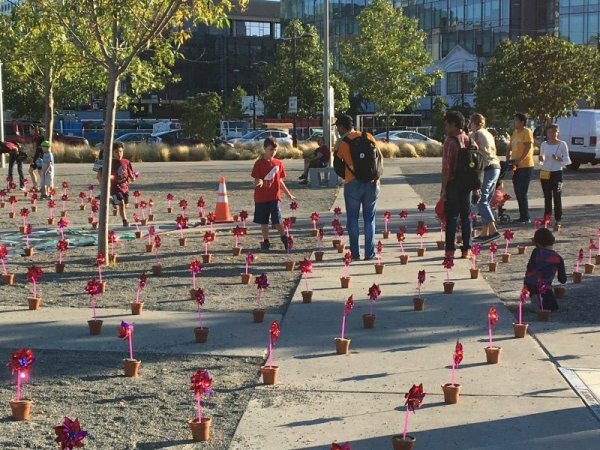 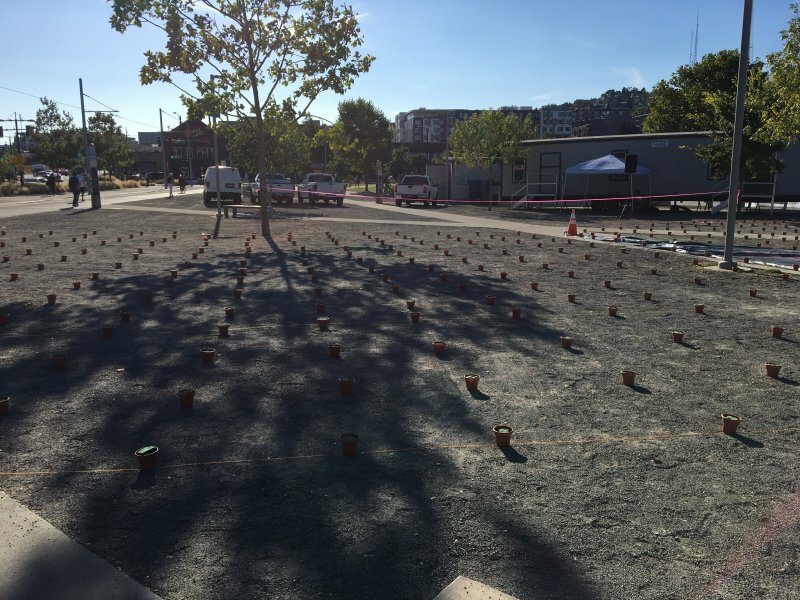 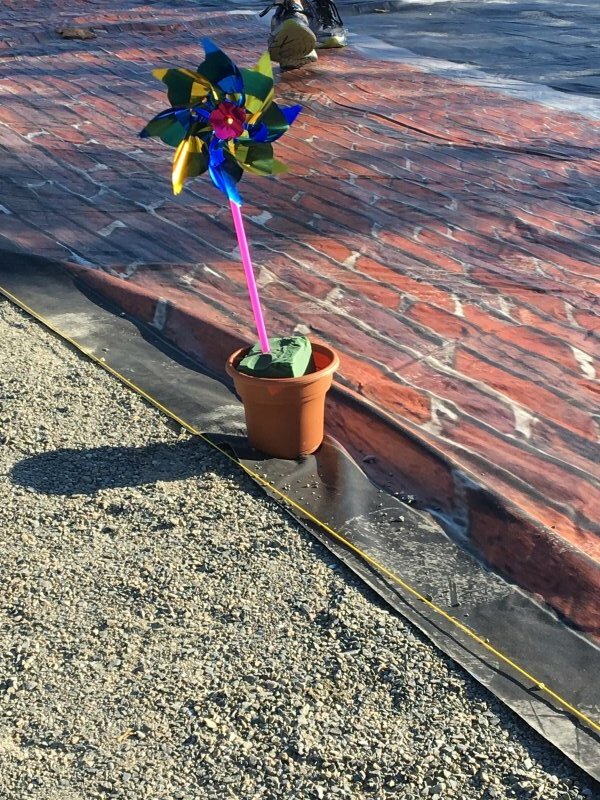 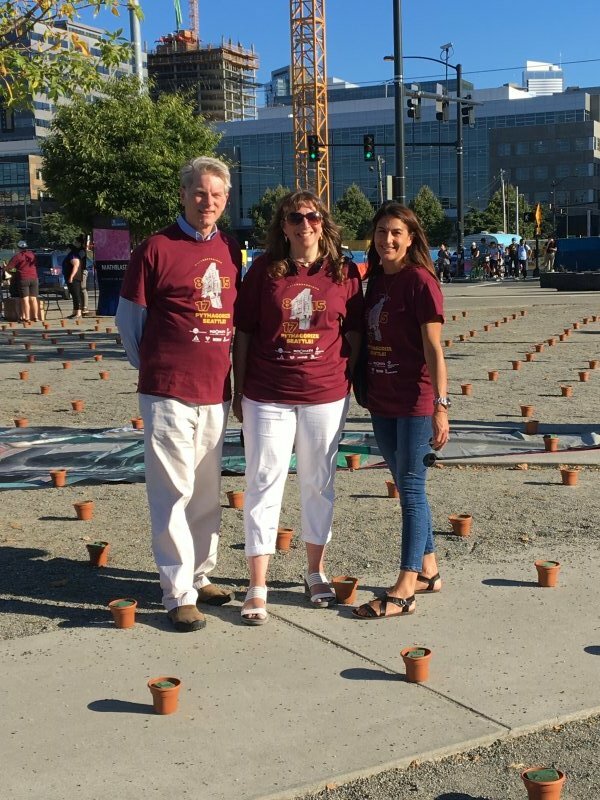 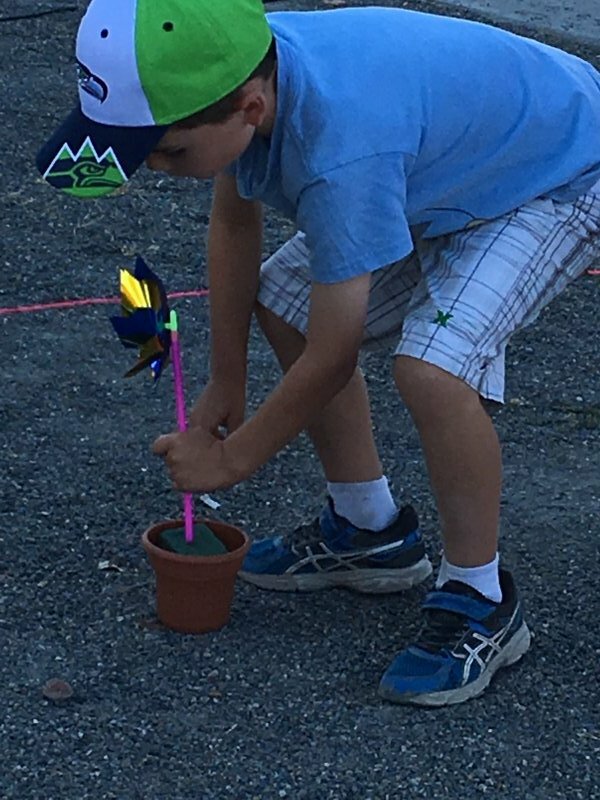 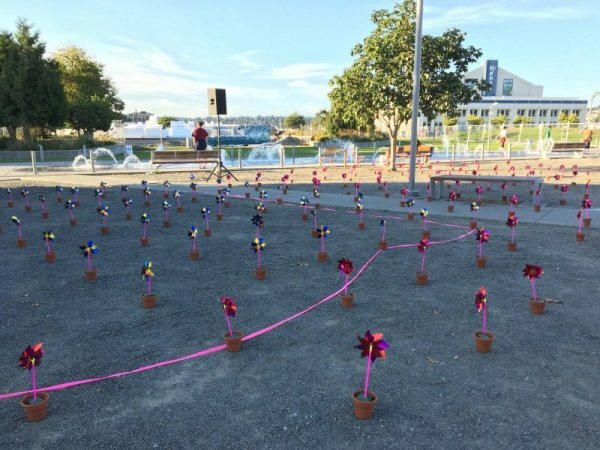 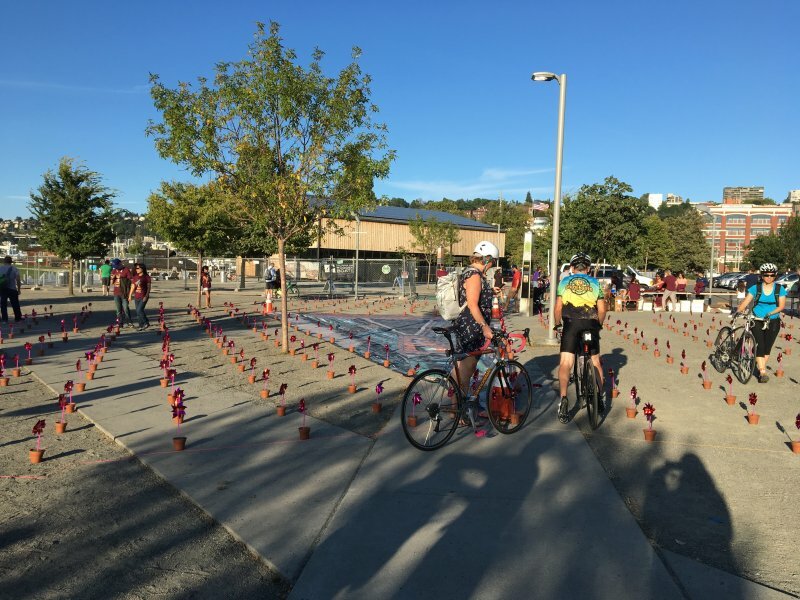 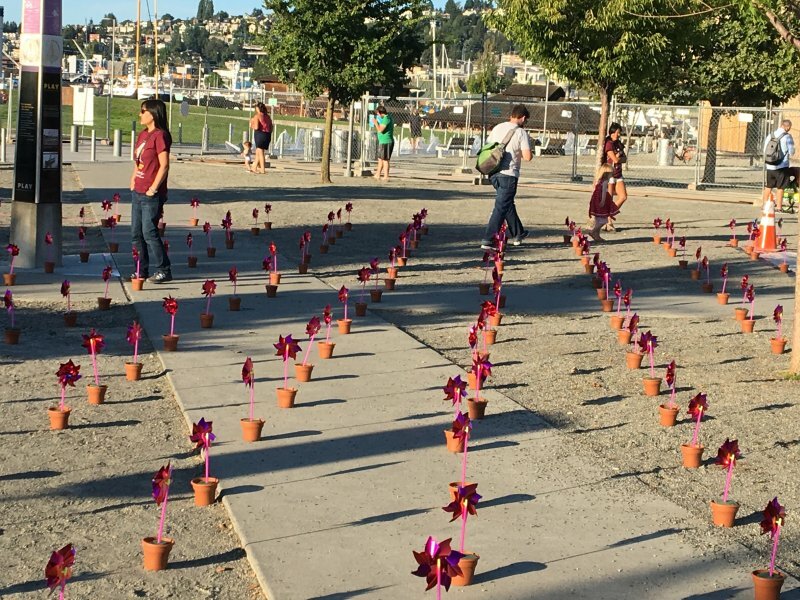 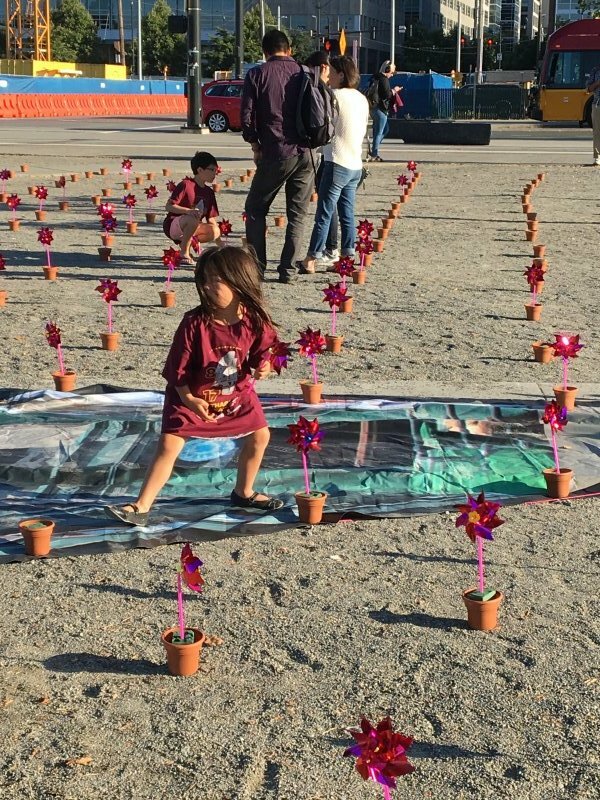 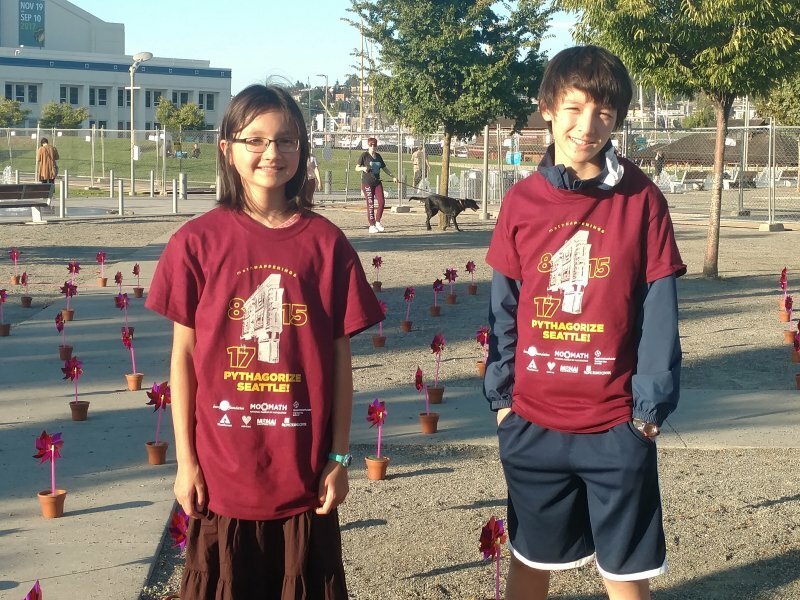 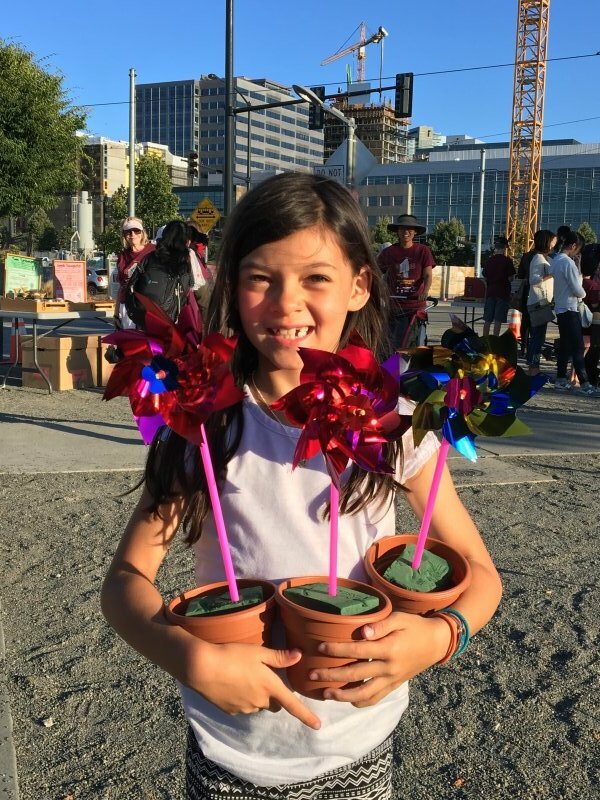 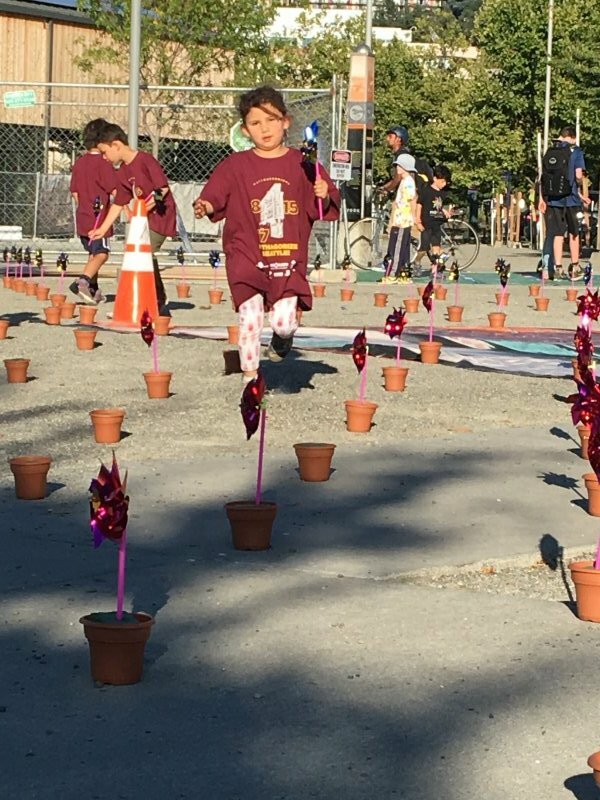 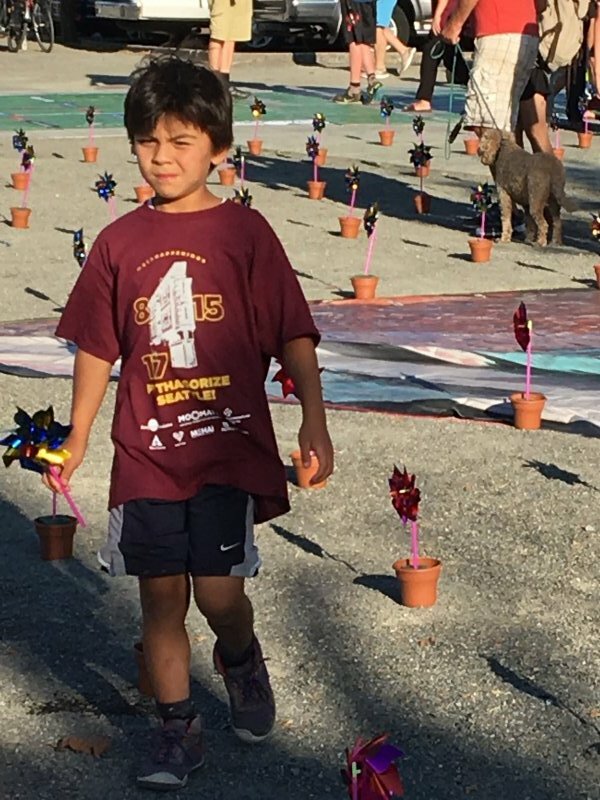 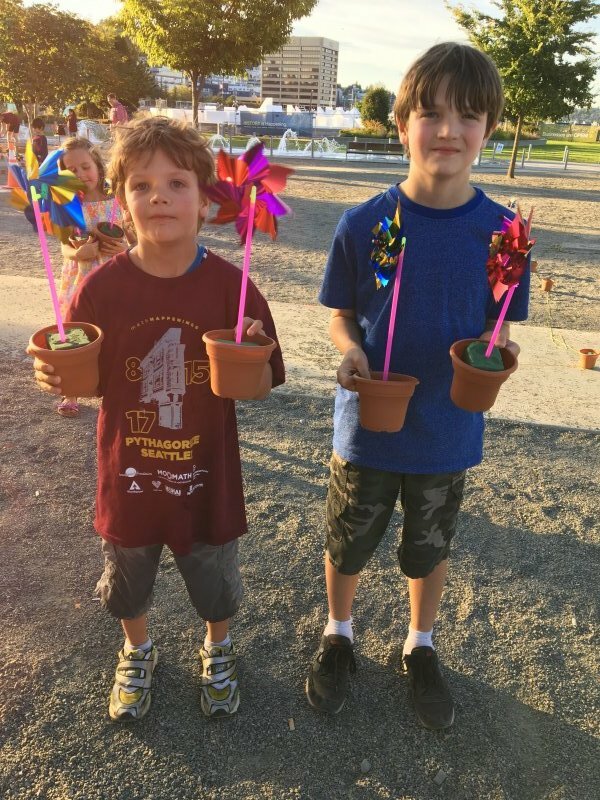 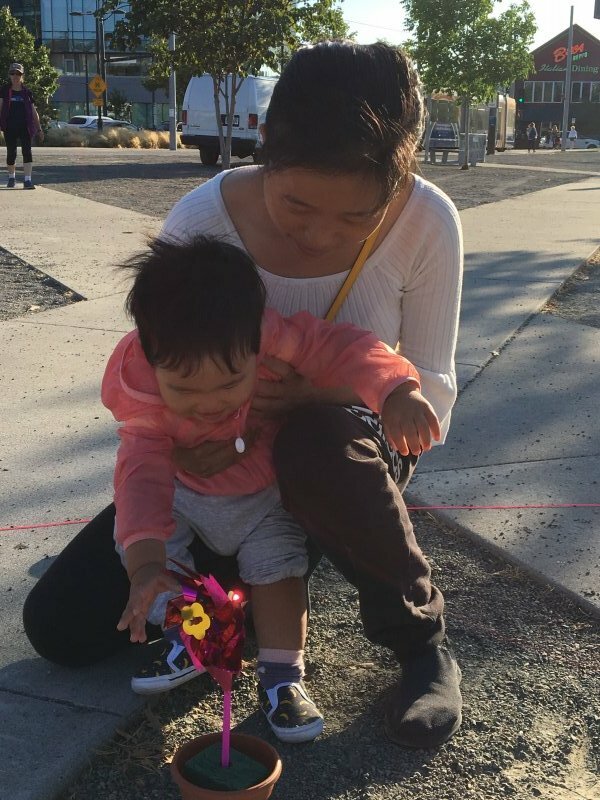 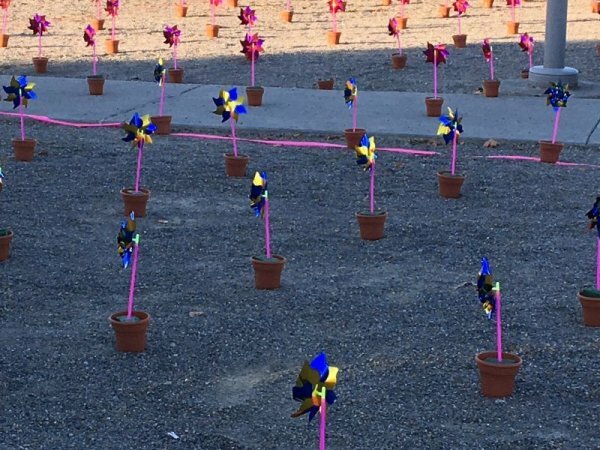 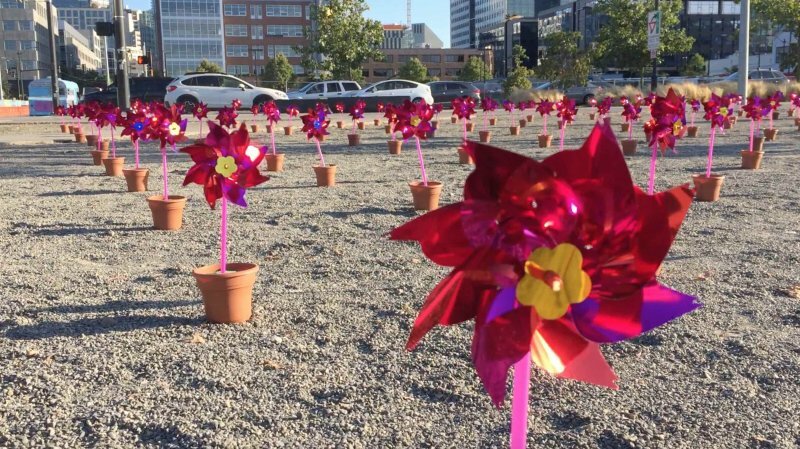 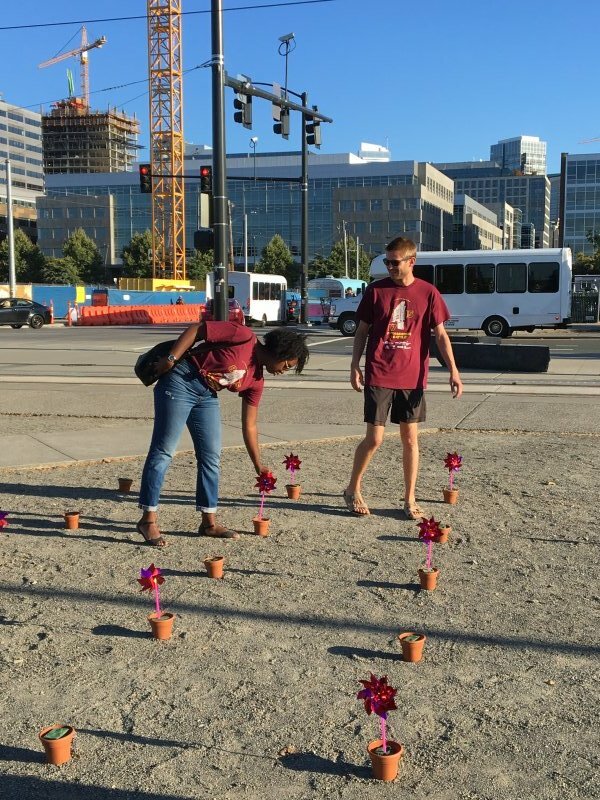 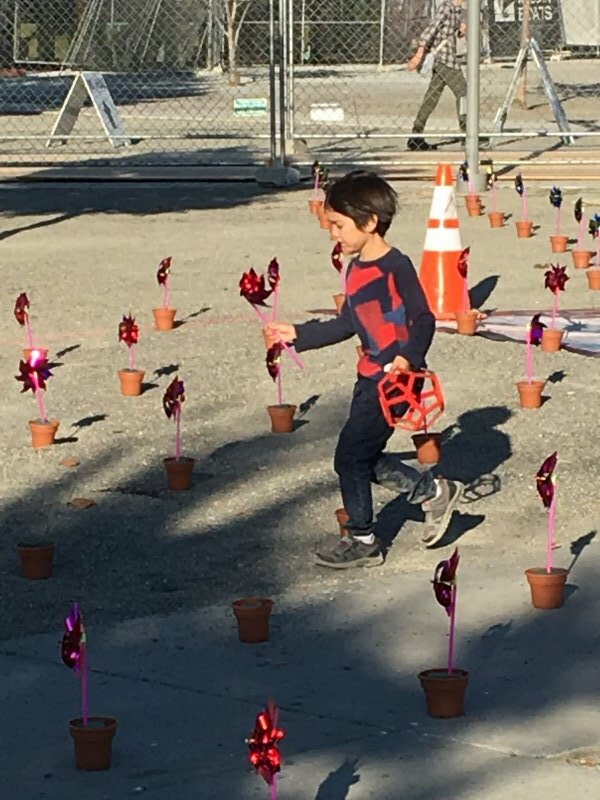 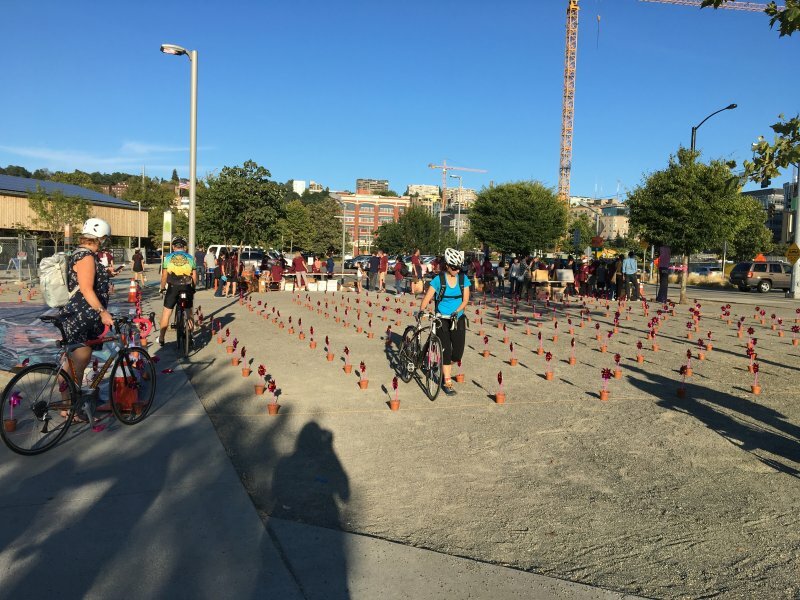 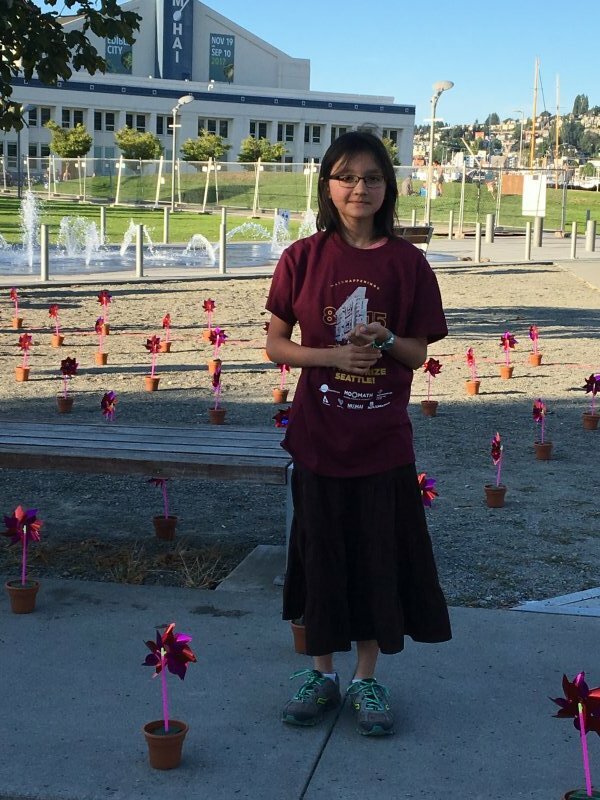 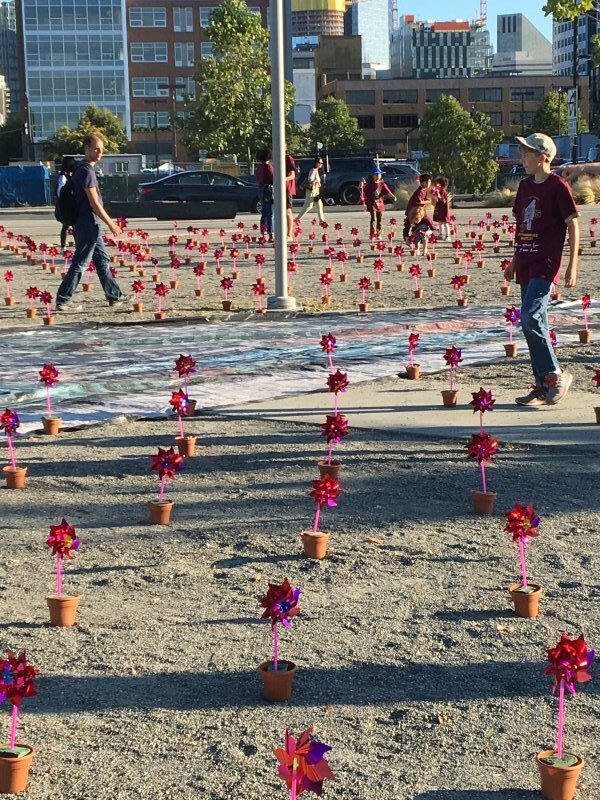 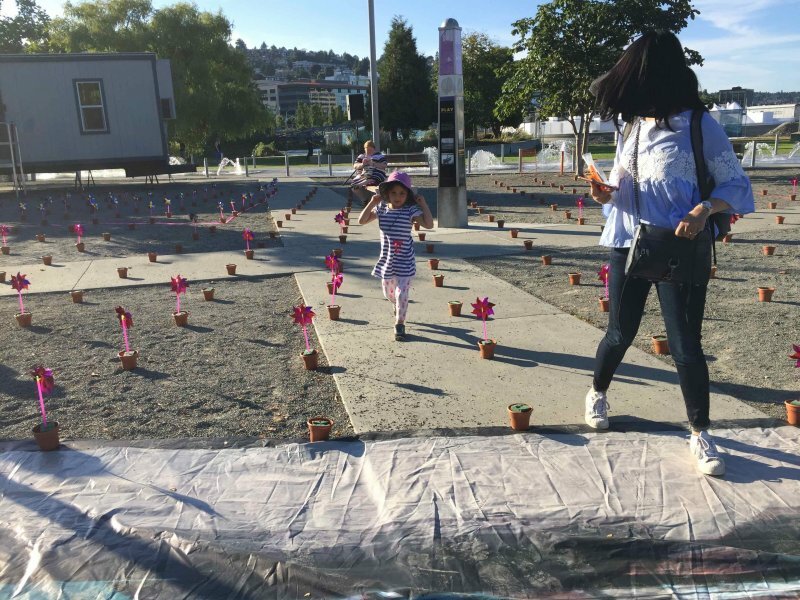 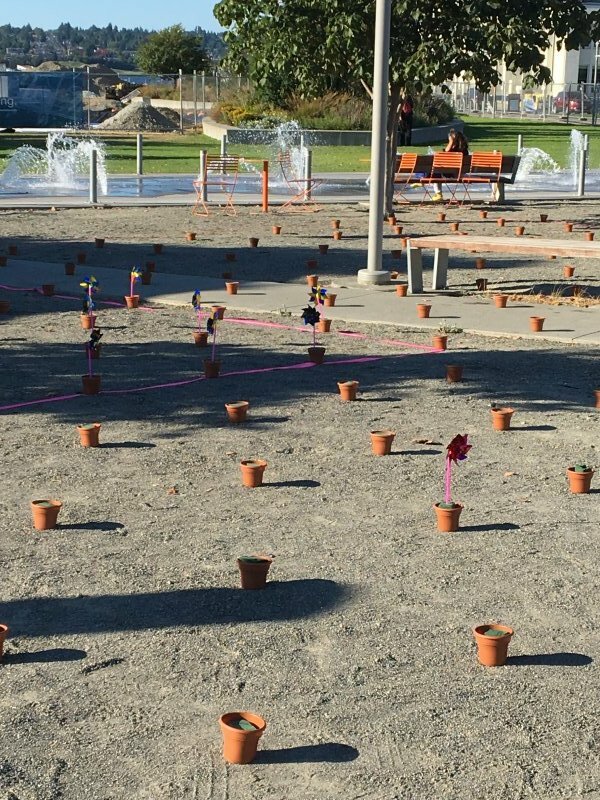 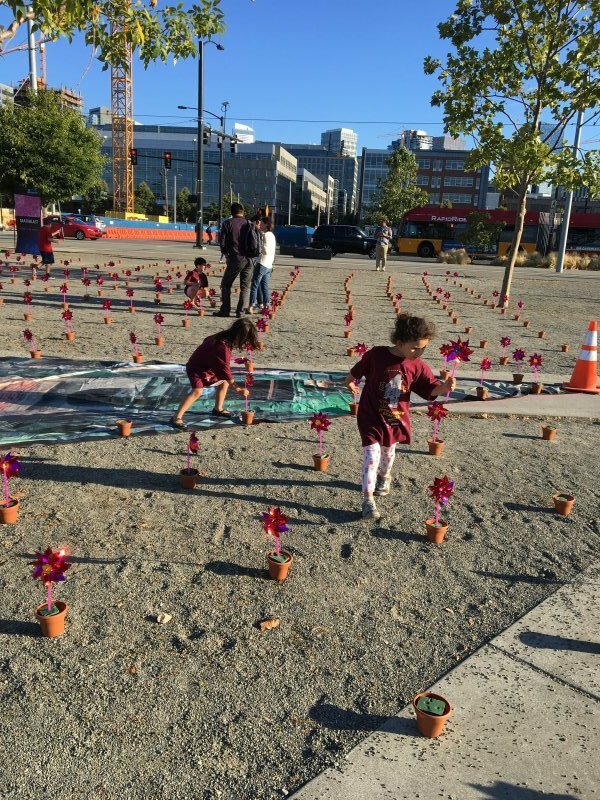 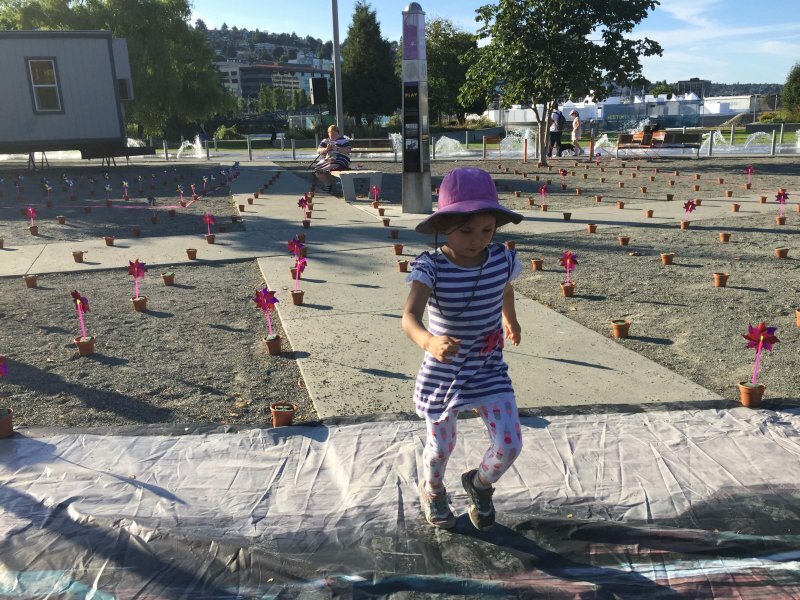 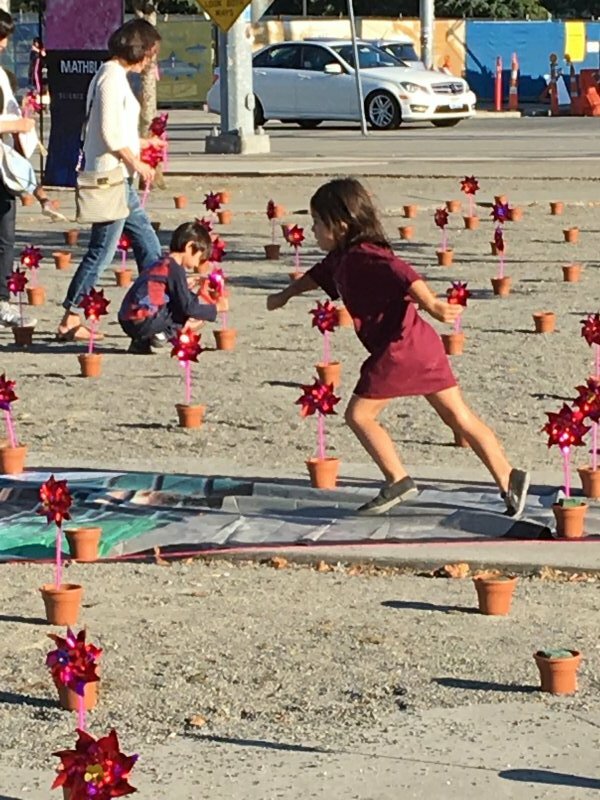 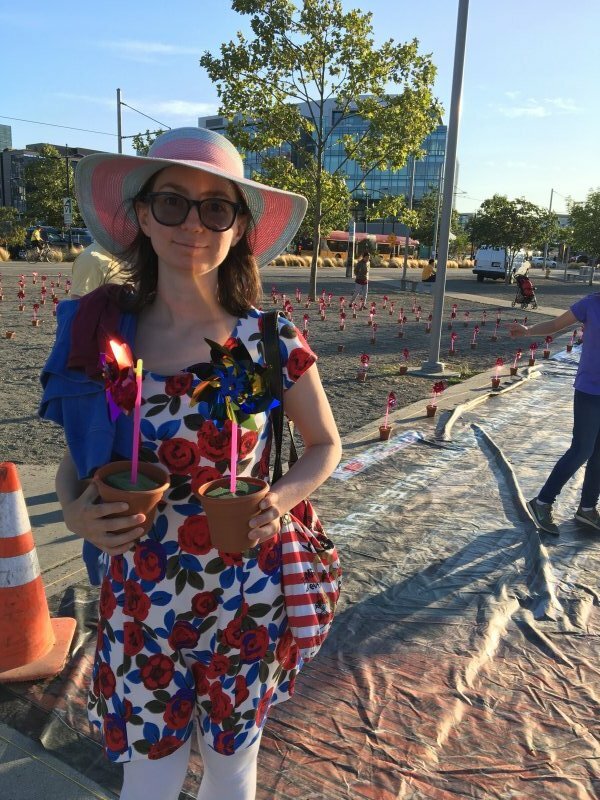 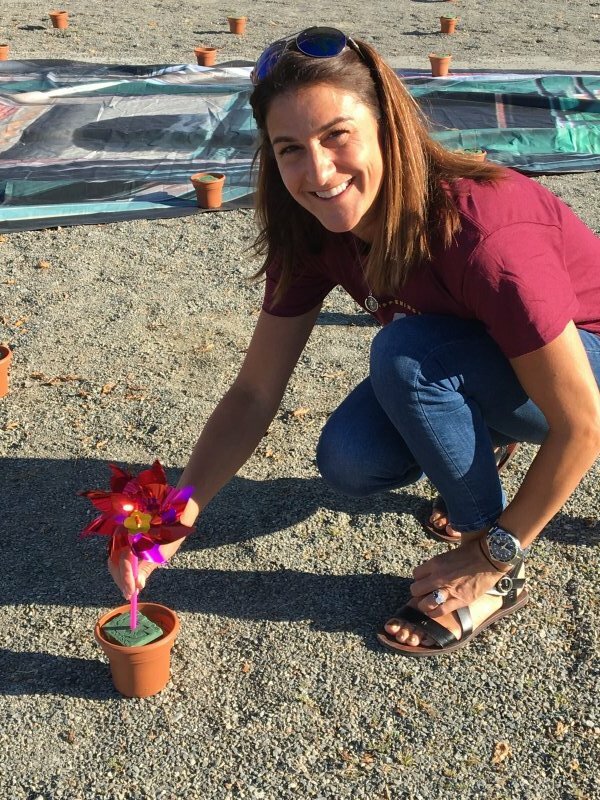 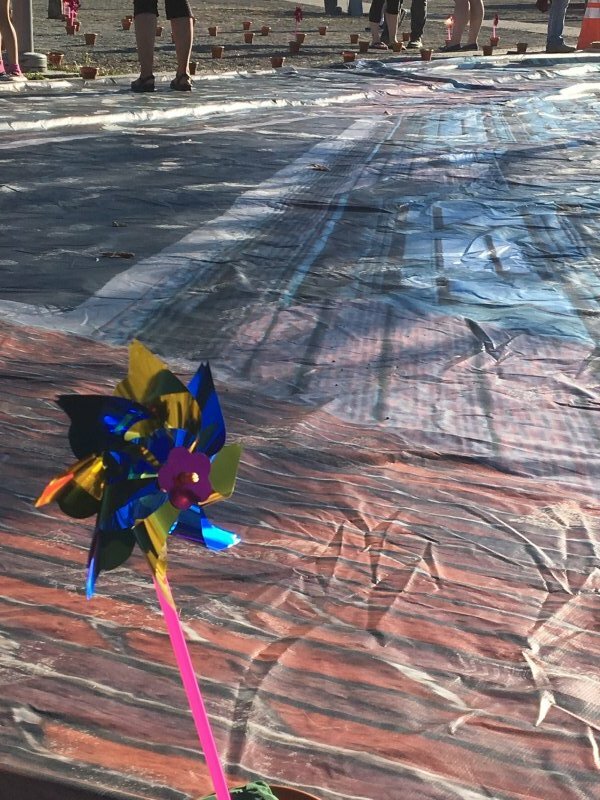 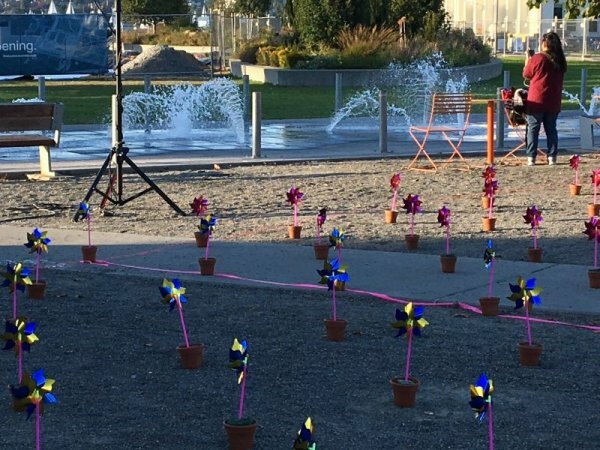 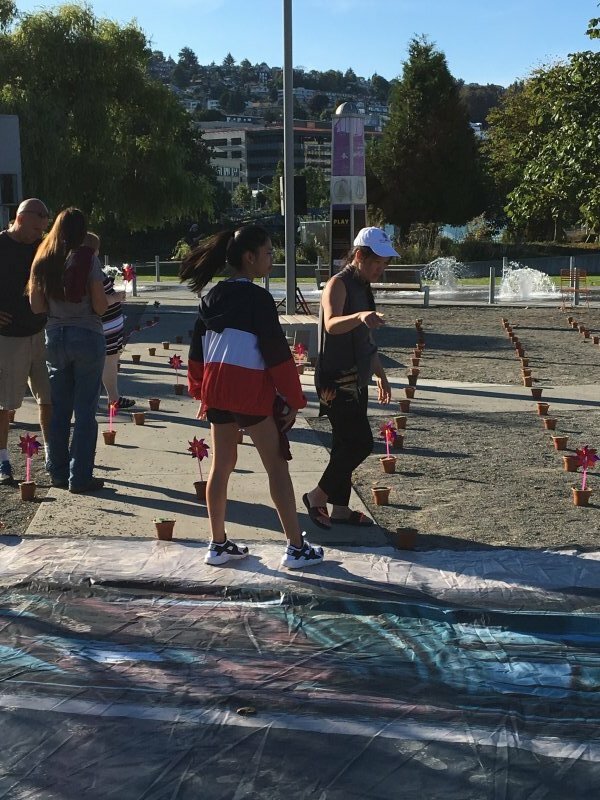 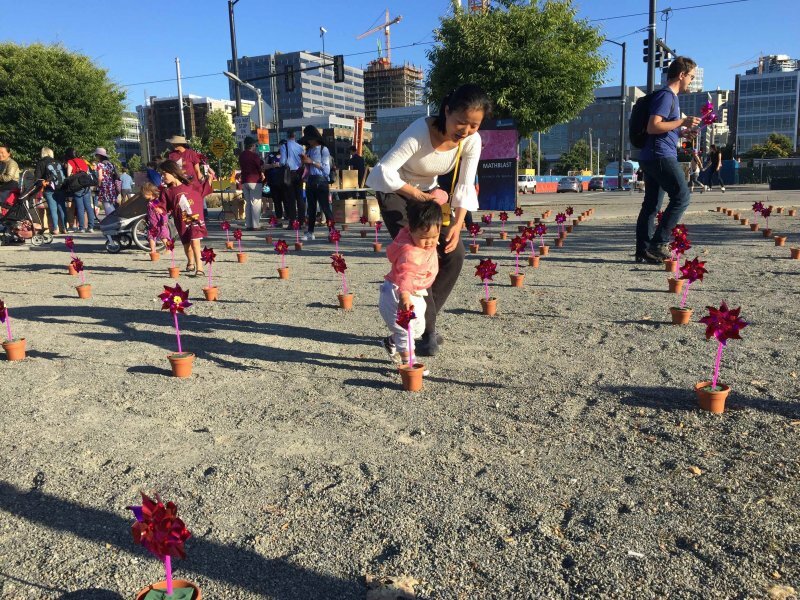 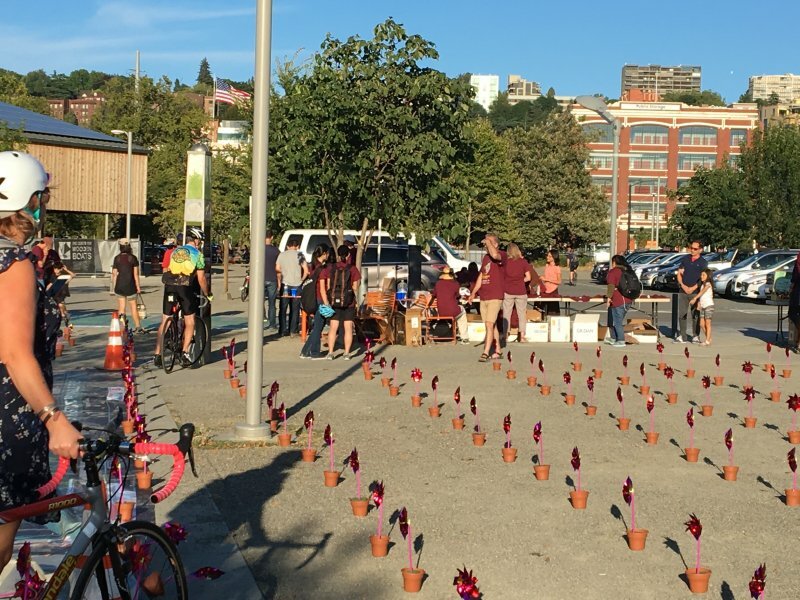 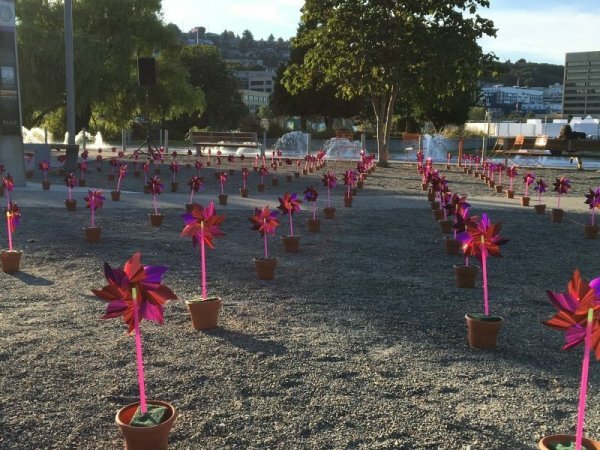 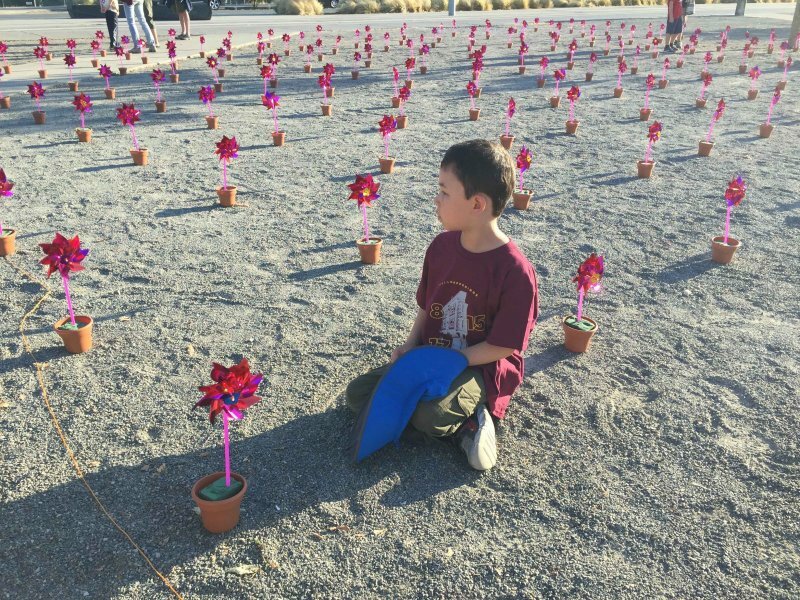 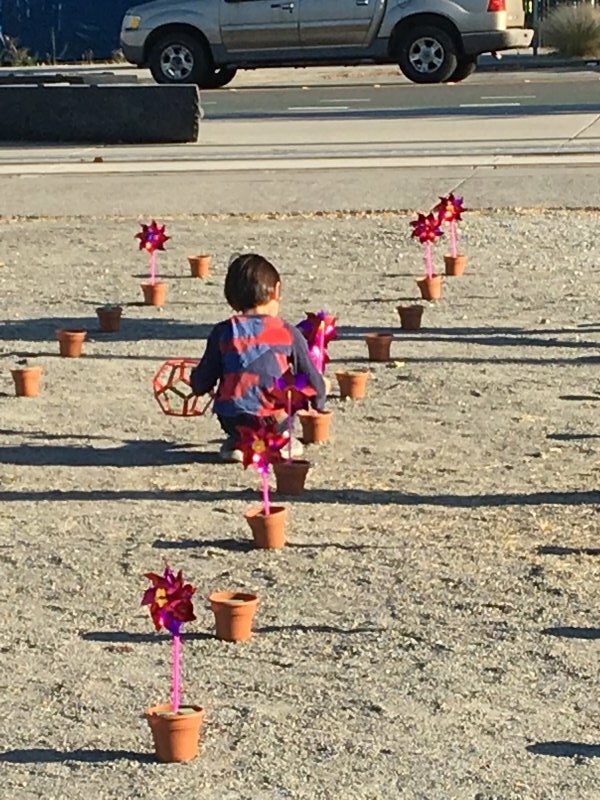 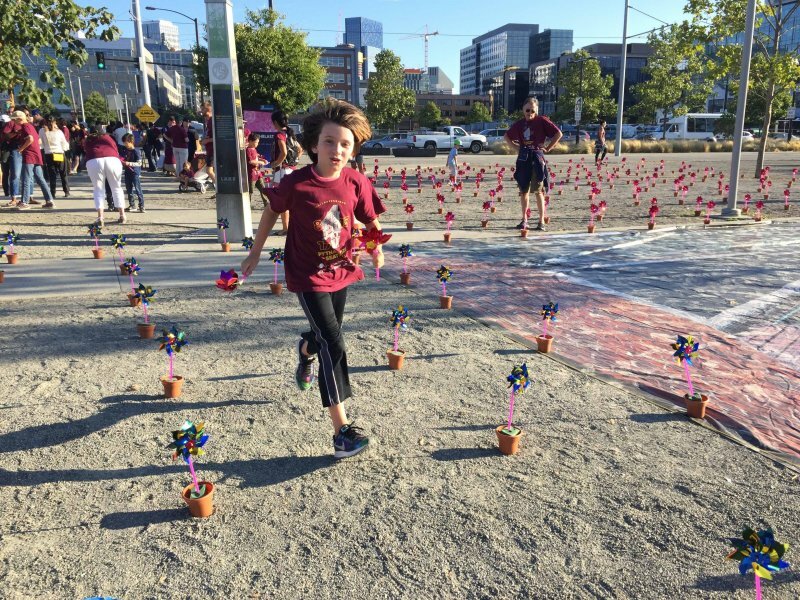 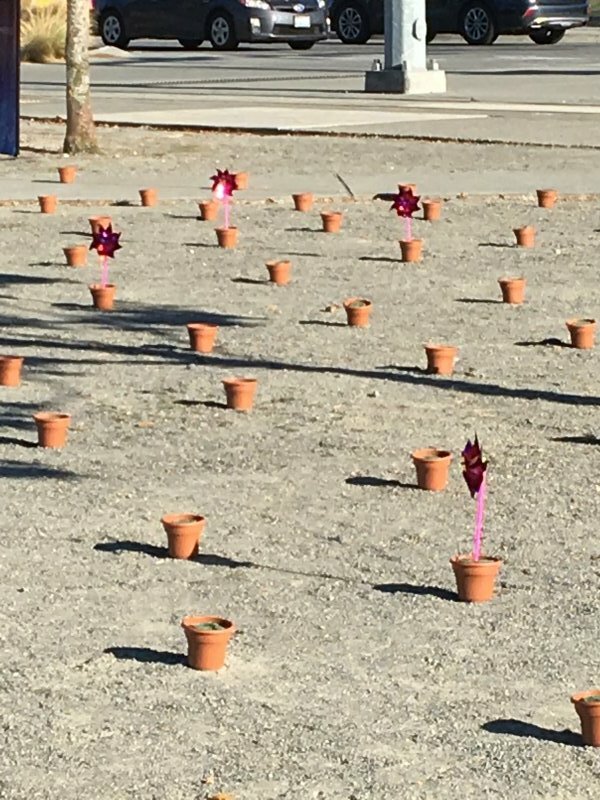 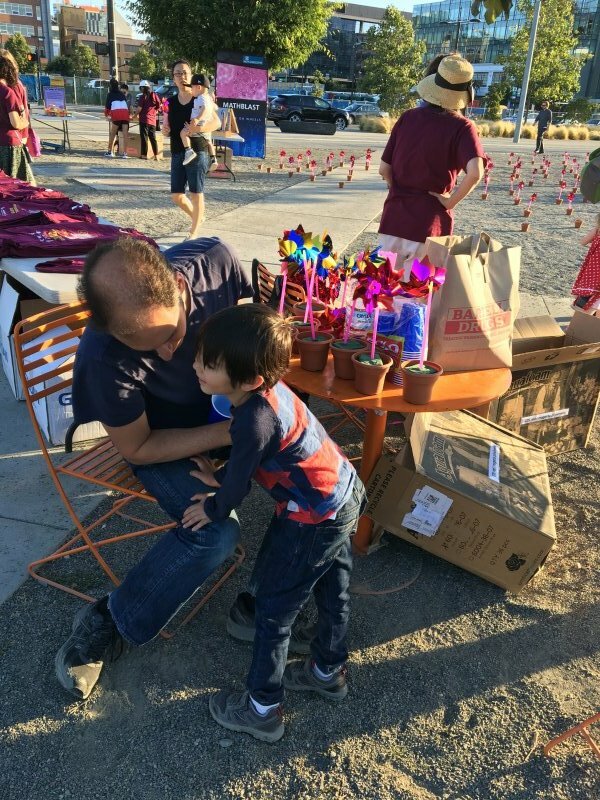 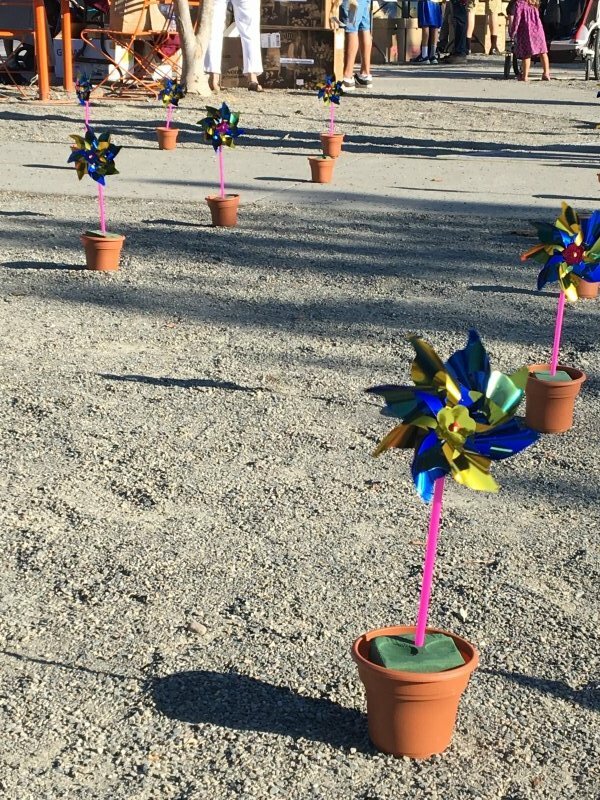 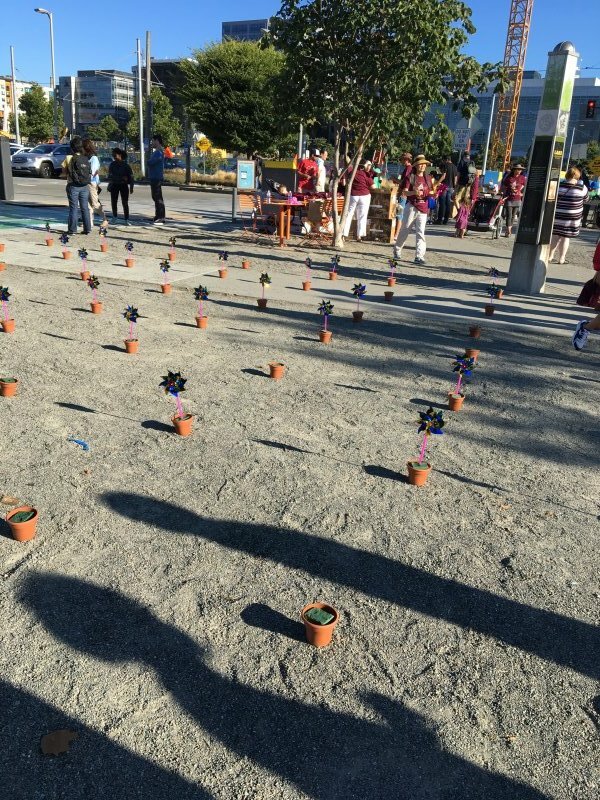 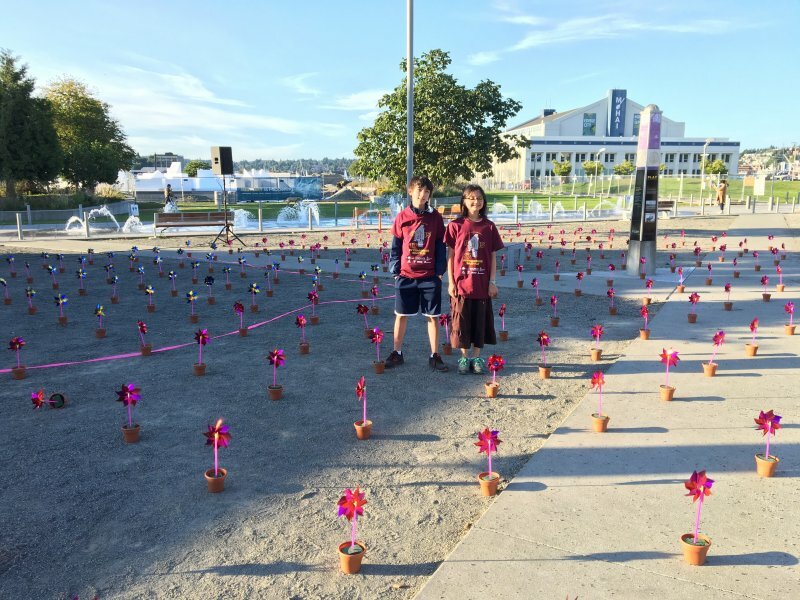 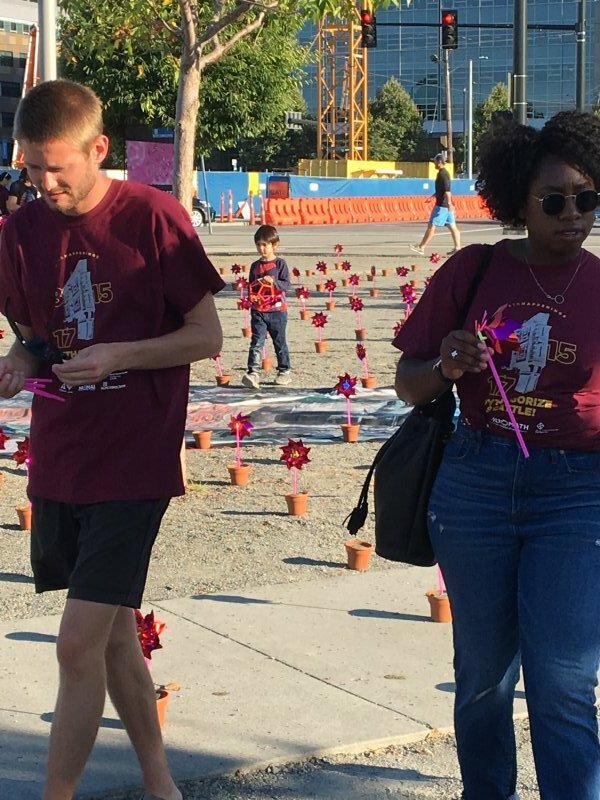 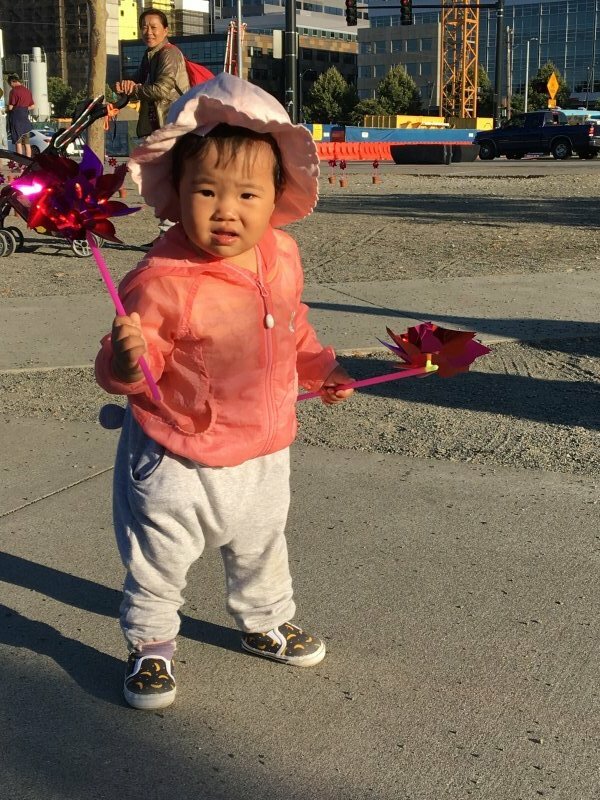 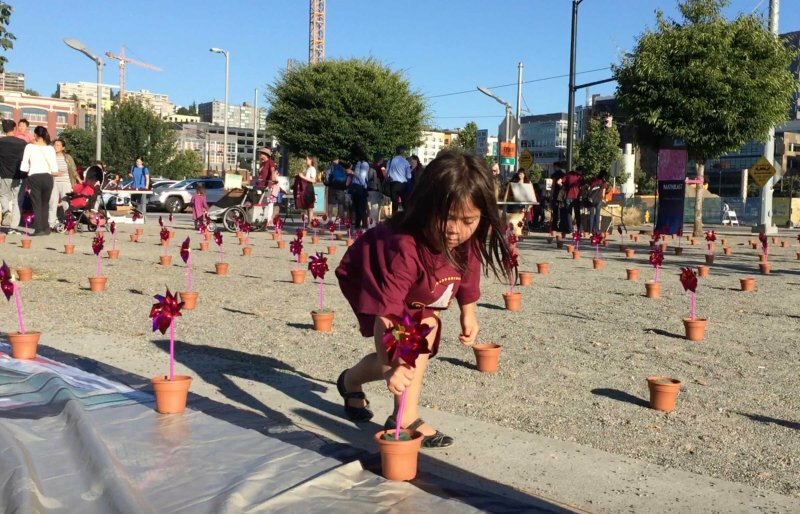 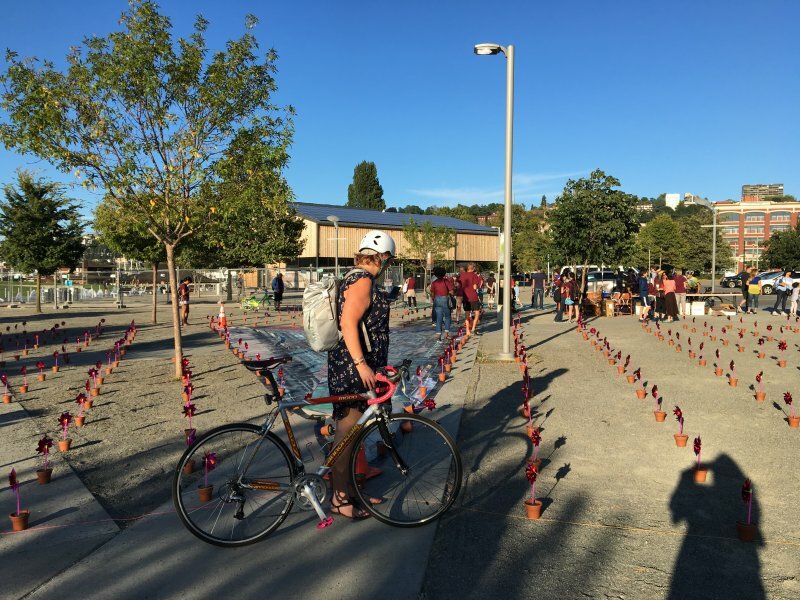 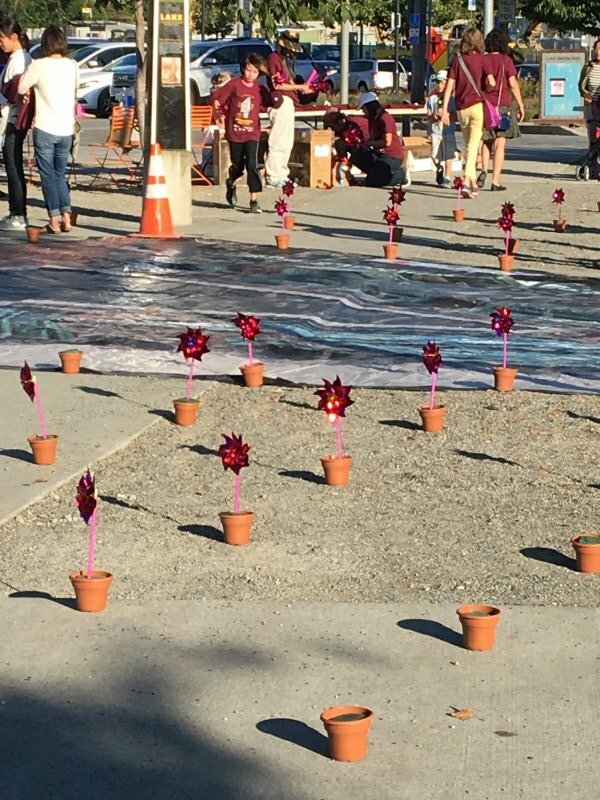 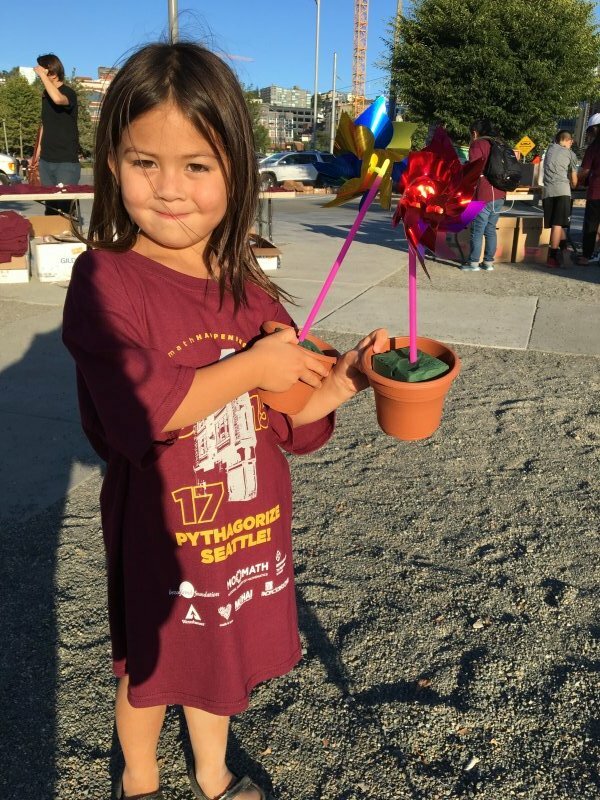 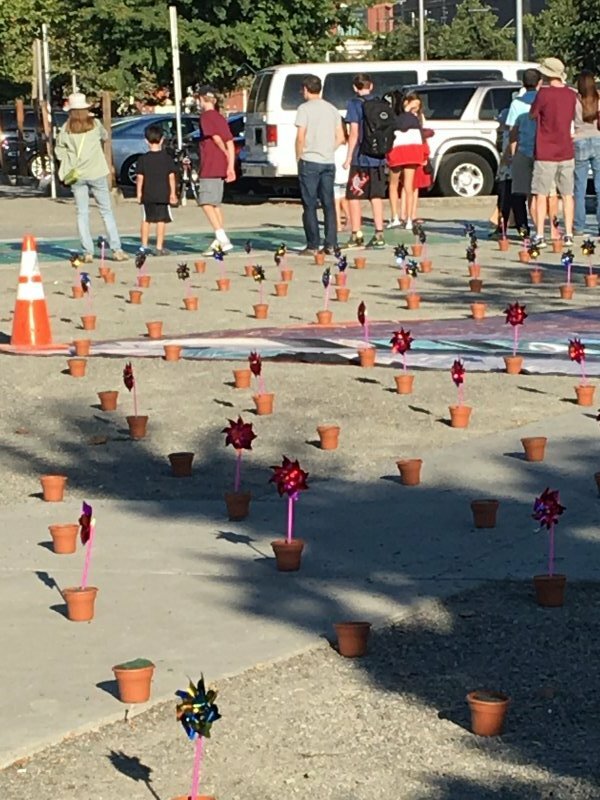 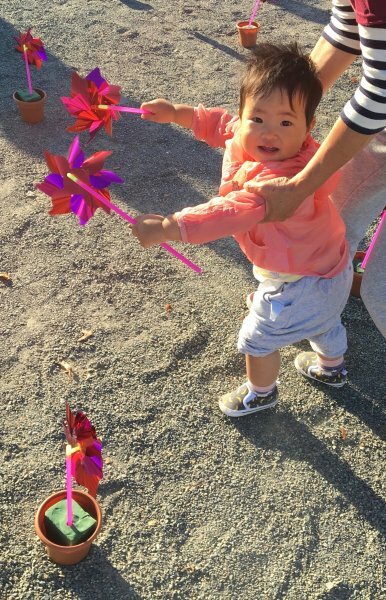 On Pythagoras Day, 8/15/17, hundreds of participants created a larger-than-life proof of the Pythagorean theorem at Lake Union Park by “planting” a field of colorful pinwheels. 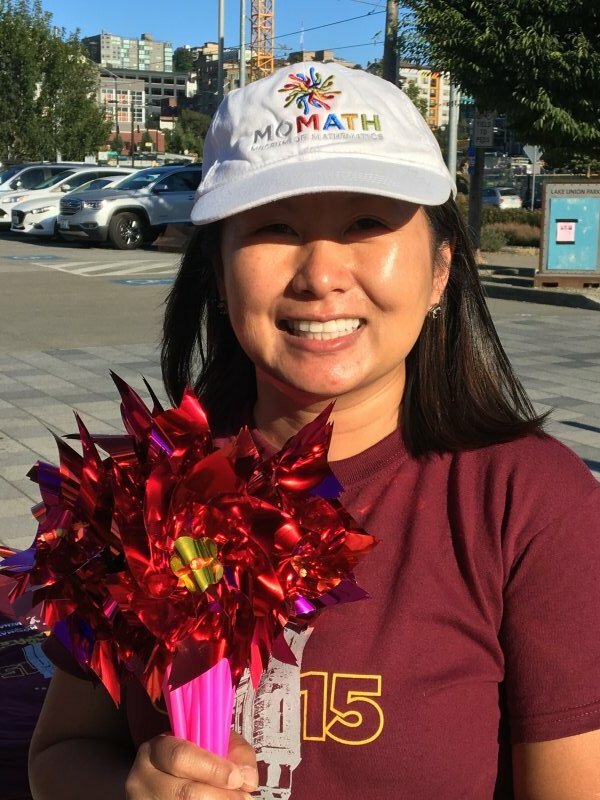 Hundreds of participants helped us show the world that New York isn’t the only place where math can be the bedrock of an amazing mathematical celebration. 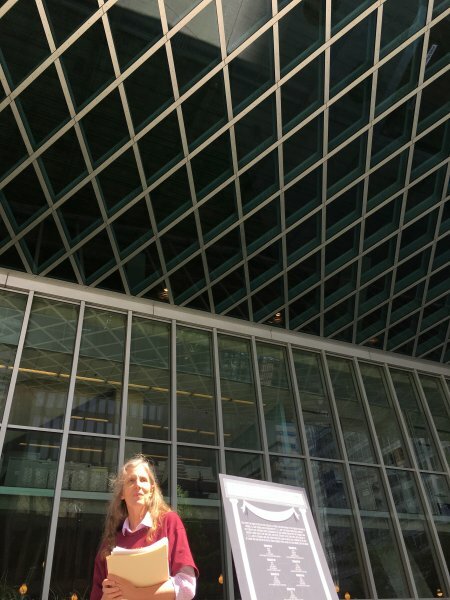 What better place than Seattle to demonstrate the awesome power and sheer coolness of mathematics?